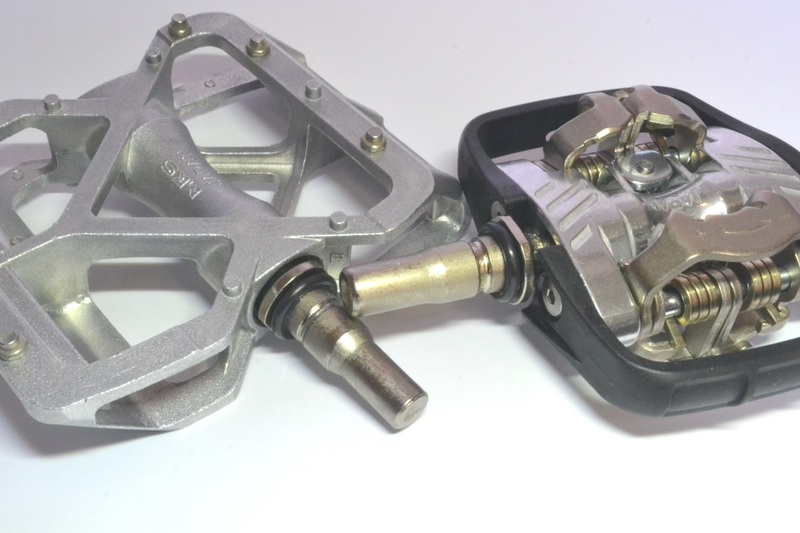 Quick release pedals are not new to the market, but it’s worth talking about them because they represent a more practical solution than it may seem. 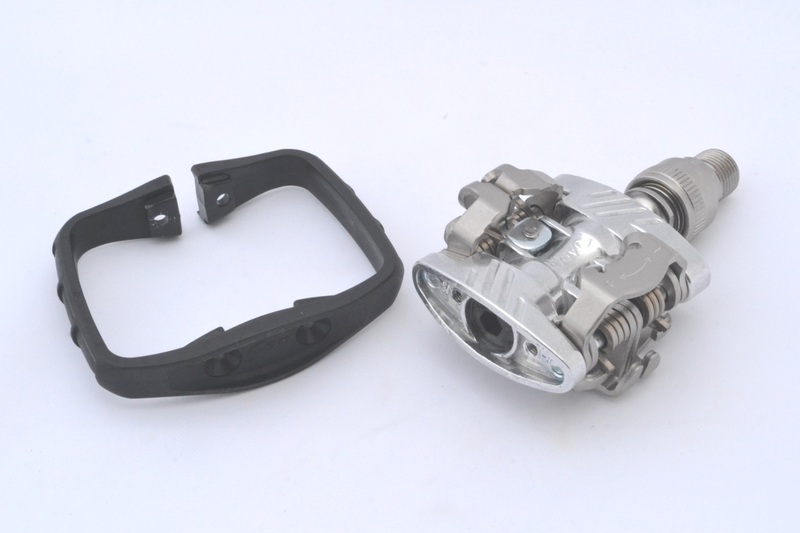 Having to decide which model to use, I chose to turn to a top company, which already for several years has made this technical solution available to us cyclists. 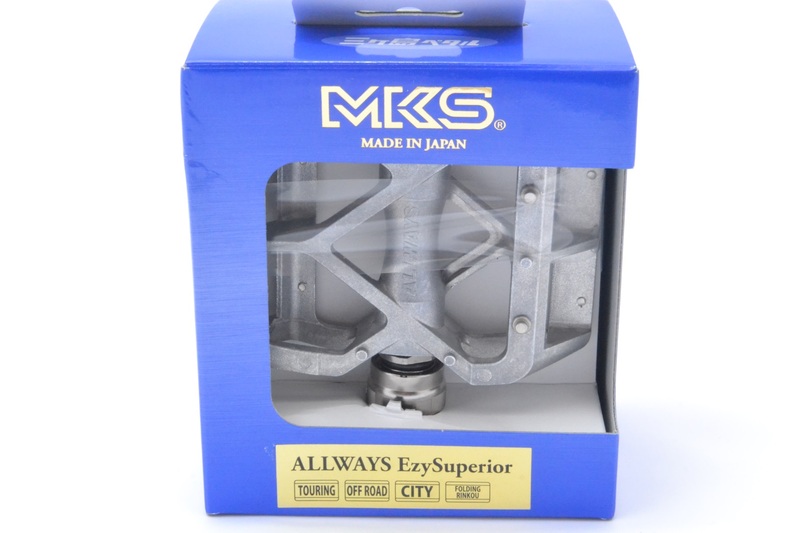 The choice therefore went to two models in the catalog of Mikashima Industrial Co., better known as MKS; one for cleats and the other one flat. But above all with two different holding systems, conceptually similar but different in their technical implementation: the EZY and EZY-S systems. 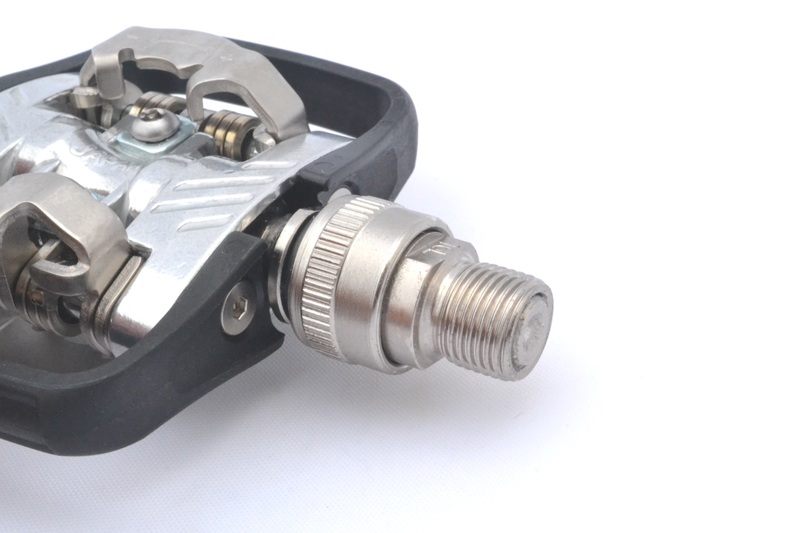 The choice to try just one pedal for each release system is for the purpose of discovering the advantages and disadvantages of quick release, more than playing changing pedals on a bike. 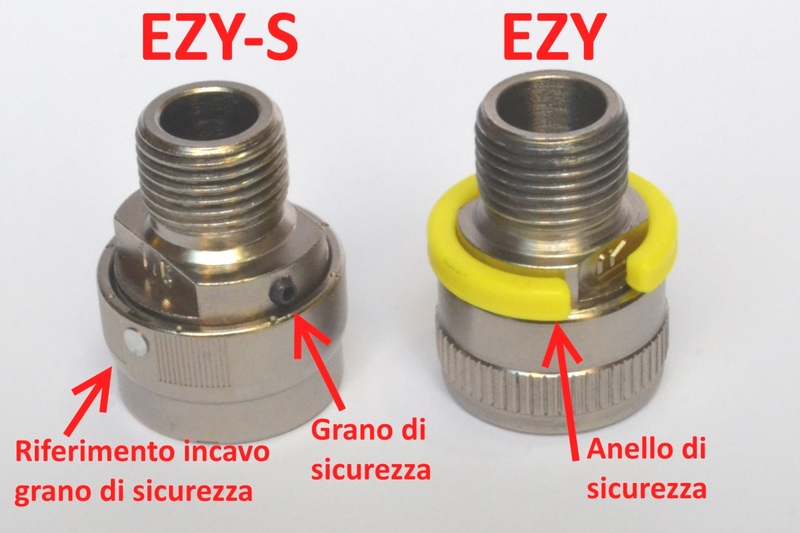 The models chosen for the test are the US-S Ezy for Mtb/touring così, compatible with Shimano Spd cleats and the multi-purpose Allways Ezy-S. That were made available to me by the very kind company Montalbetti, the national distributor of the Japanese brand and so many others. Similar package for both on the outside. 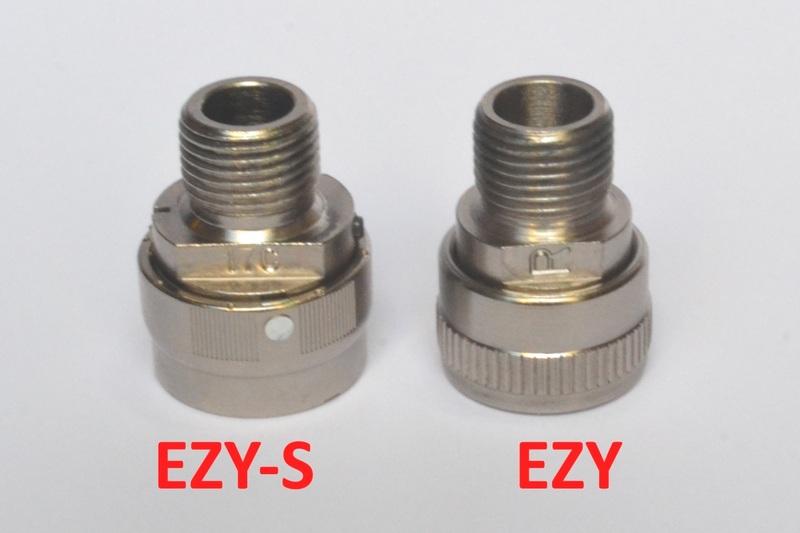 The Allways Ezy-S offer a label suggesting possible uses and installation instructions. 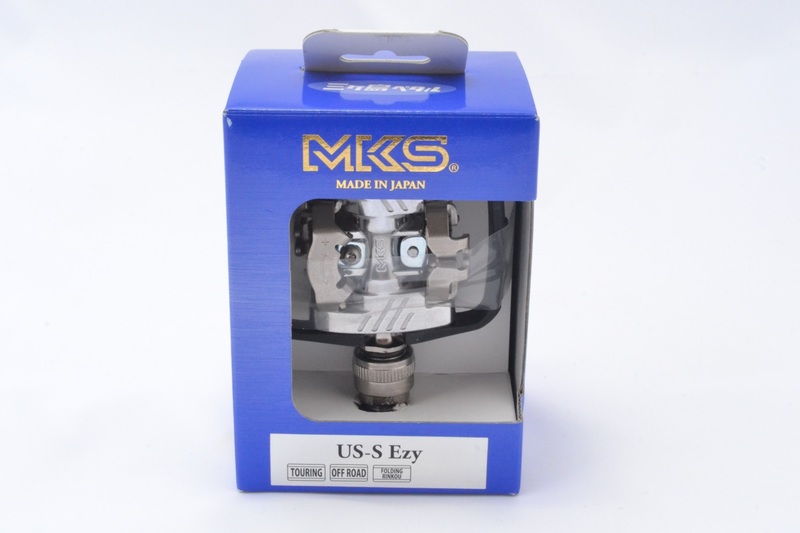 In the case of the US-S Ezy we have the installation instructions and some suggestions for placing the cleats. 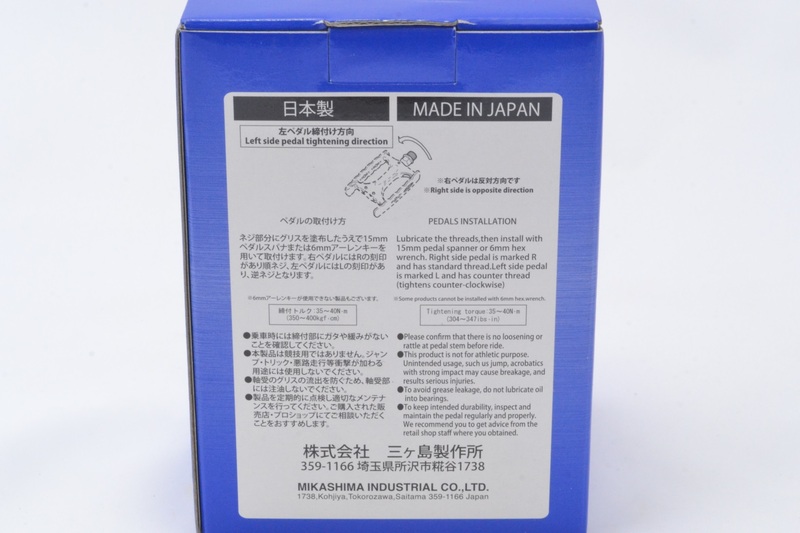 A frontal label, here too, suggests the possible uses. 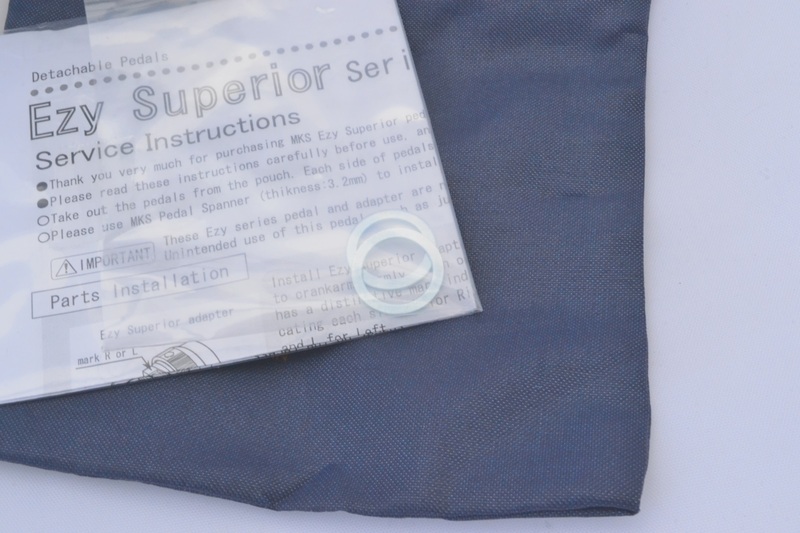 The Allaways equipment (henceforth for convenience I will omit the acronyms related to the release system) provides an instruction sheet, the washers to be mounted to the pedal cranks that requires them, and a practical foldable canvas bag, to place the pedals once removed. The US-S equipment is a lot more substantial, indeed it’s more appropriate to define it as a rich one. 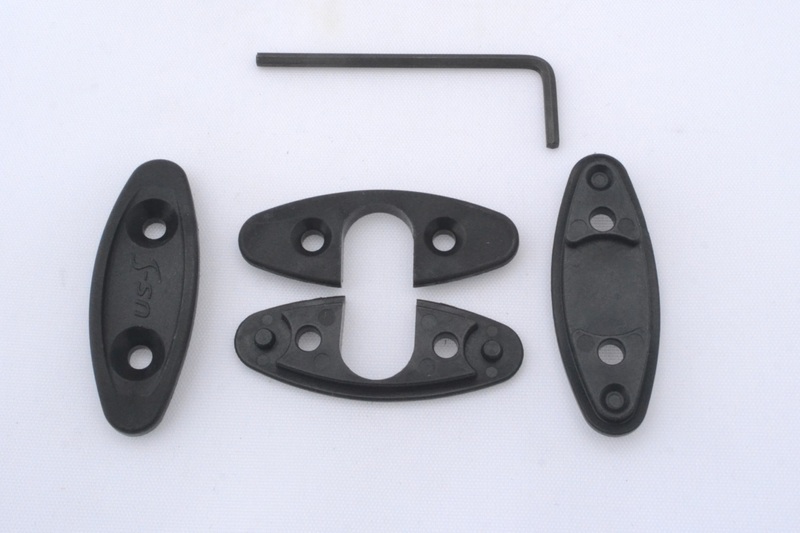 In fact, in addition to the instruction and a small storage bag, we have the cleats (and this is in line with the competitors), some plastic plates to be mounted in replacement of the perimeter cage and the Allen wrenchs to intervene on the cleats, on the screw regulating the tension of the Spd release and for the cage/plates. So many things, let’s take a better look. 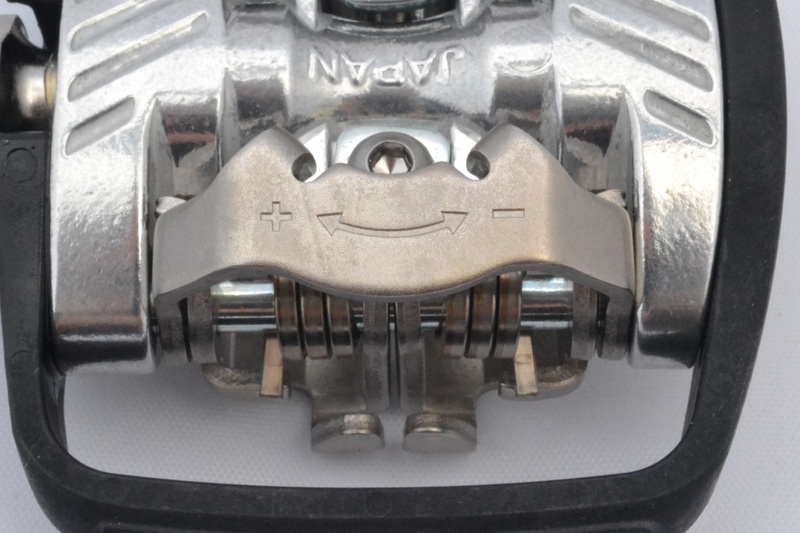 The cleats conform to the Shimano Spd standard and the supplied ones are the version with a 4° angular clearance. 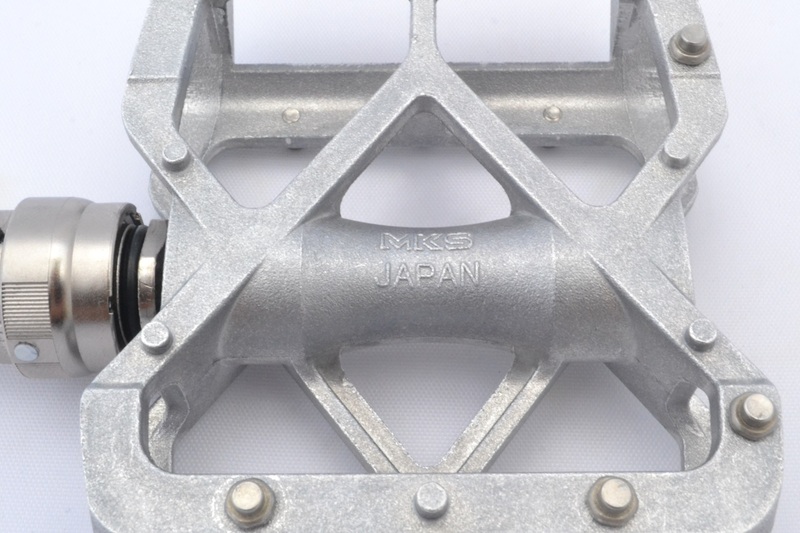 The manufacturer, as well as me, recommend the Sm-Sh51 version, which can be released by turning the heel only and not even pulling upwards. 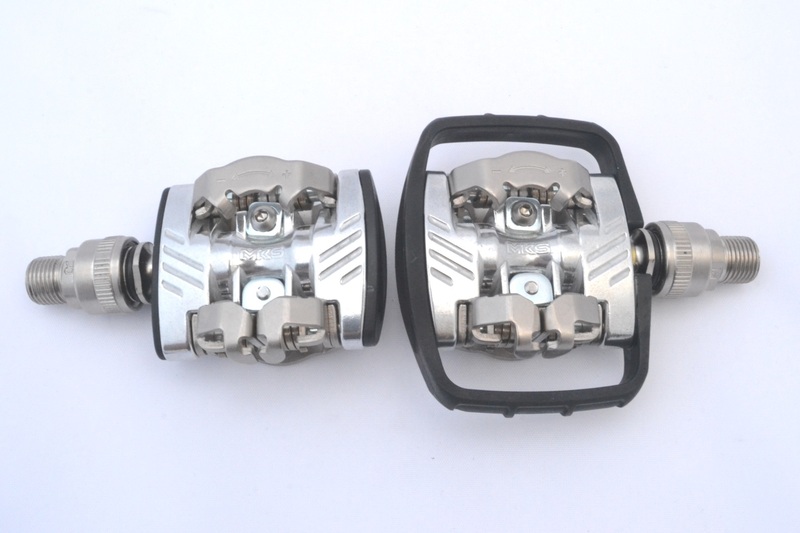 Those supplied with the pedals faithfully replicate the Sm-Sh51. 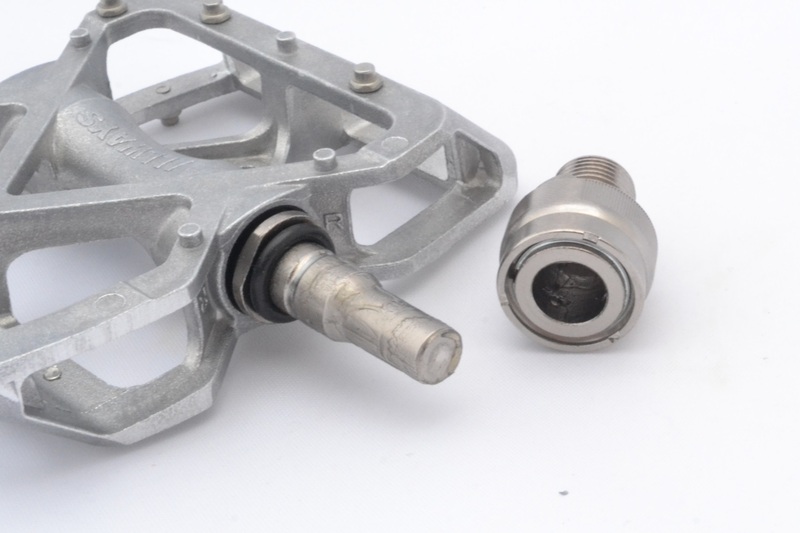 The pedals are delivered with the outer cage already mounted; those who want to remove it while retaining a good finish as well as crash and scratch protection, can install the shells offered as an alternative. 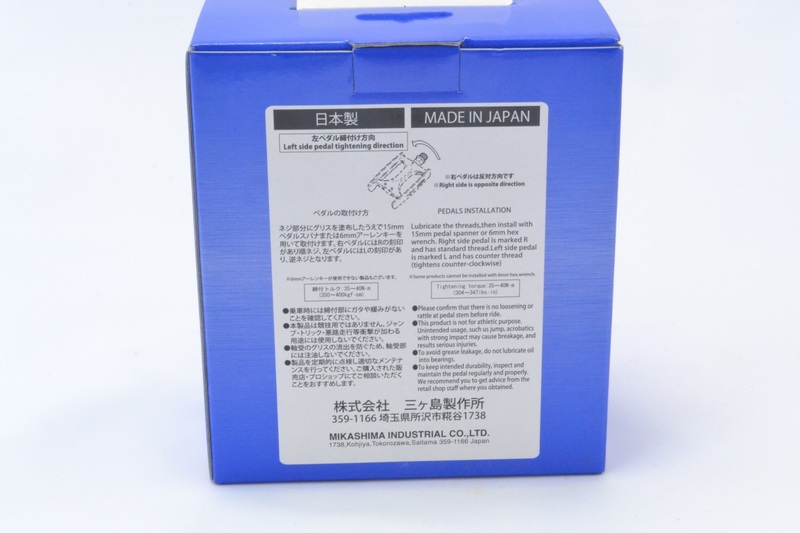 The pedals have a regulation system of the release tension, on both sides, and an Allen wrench contained in the package allows the operation. 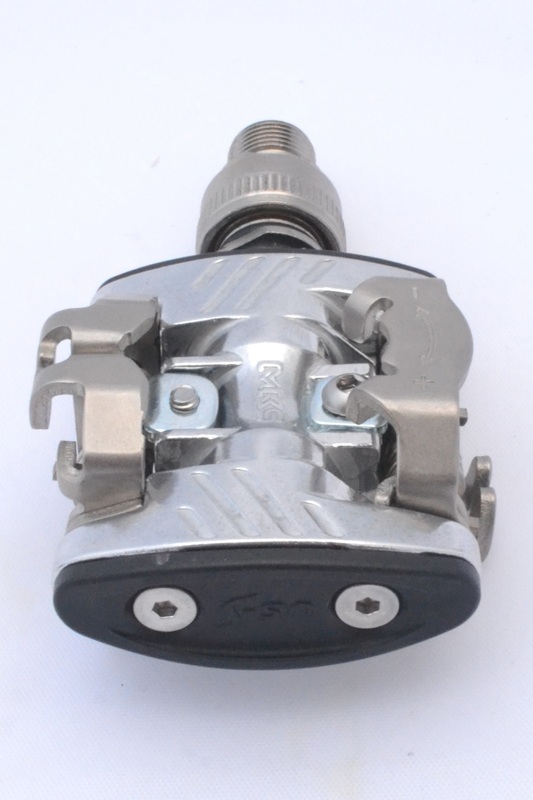 The screw movement is not continuous, but provides sharp and sonorous releases, facilitating symmetrical adjustment between the two sides and the pair of pedals. My practical advice: always keep lubricated with fine oil the release mechanisms and every once in a while a spray of silicone will avoid the dirt taking root. 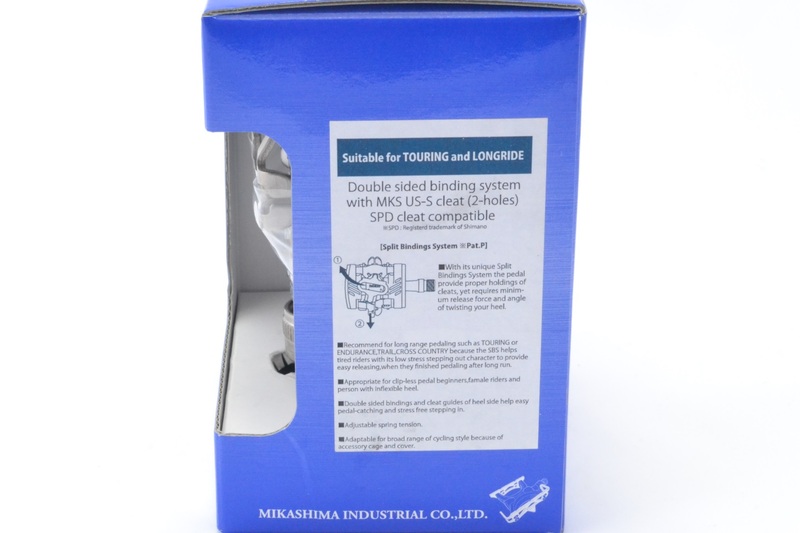 Remarks valid for every Spd pedal, I’m not talking only of these in particular. 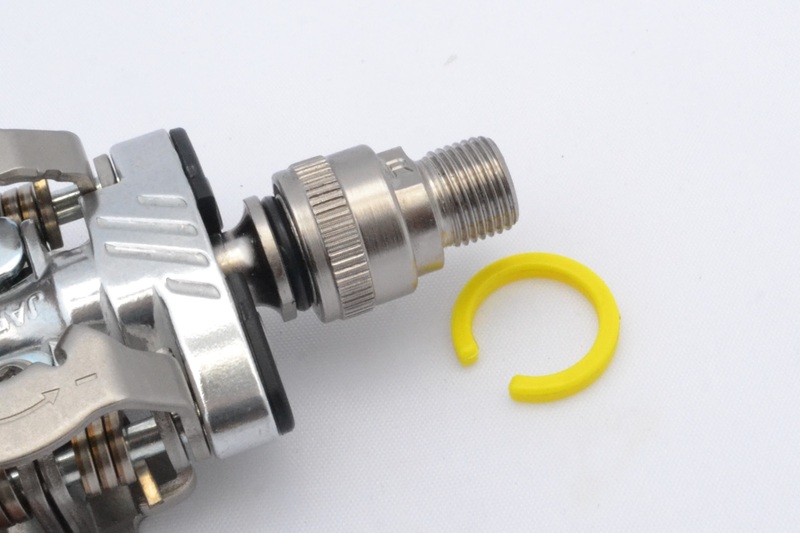 Beyond the pair of washers to thicken the cranks that require it, we have two other open washers, bright yellow. What are they? 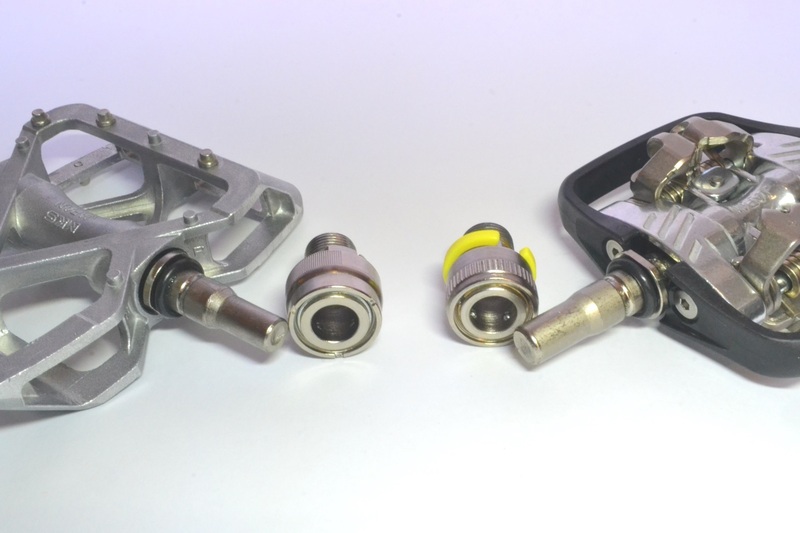 These are the safety locks to prevent unintentional pedal releases from the crank, but we will see later their operation. 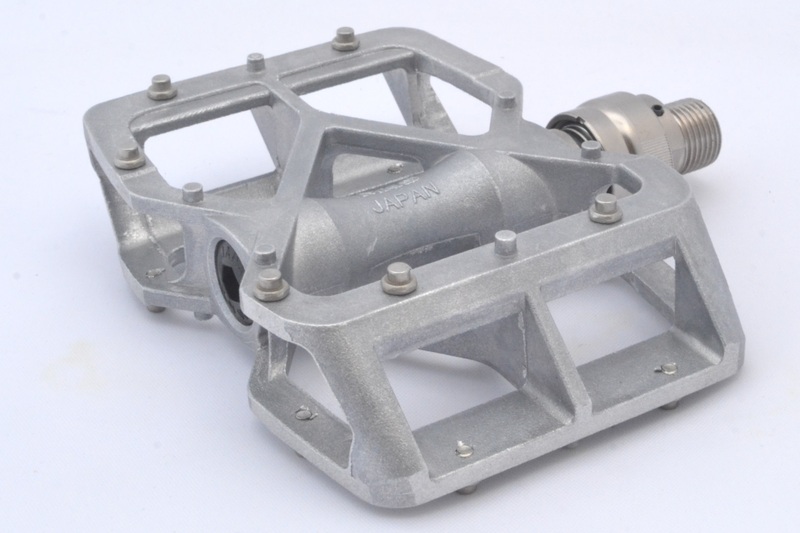 The Allways version, with an aluminum body and a weight of 440 grams measured by me, it’s the classical pedal suited for tourism with the presence of a sufficient series of stops and a large (rigid) support base. 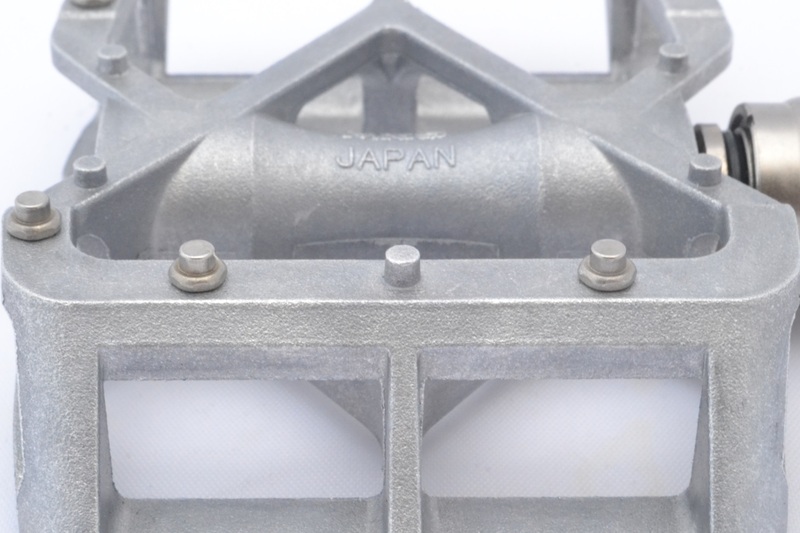 On the outside of axis seat, we have brand and model in relief. 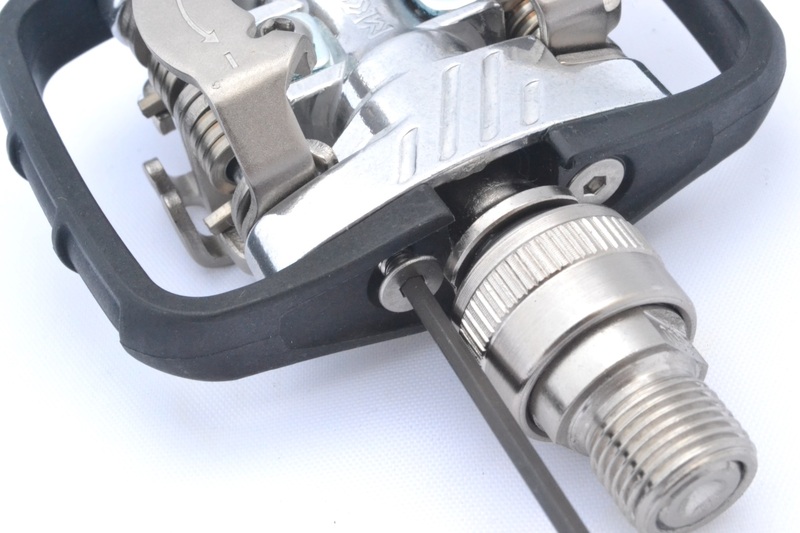 You can note that the connection is only a shearing one, as on the axis the Allen one is lacking: a solution justified by the quick release technology. 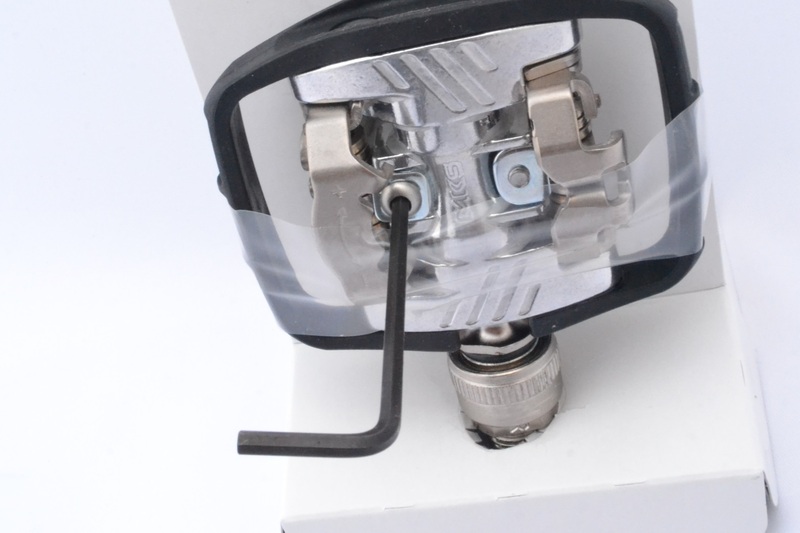 Not all the locks are removable, only the most protruding ones; so whoever likes it, he can unscrew them and leave the task of assuring a tenacious grip to the six small cylinders in relief. 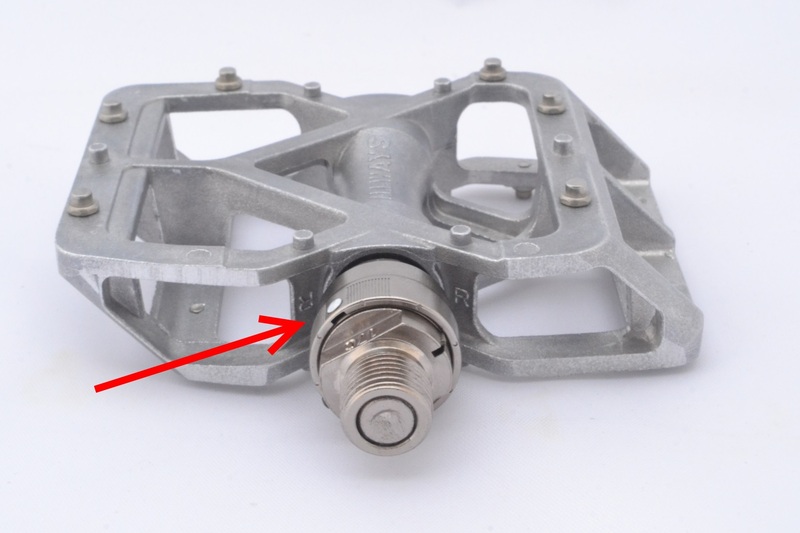 I favorably uphold the hexagonal contour ) (5,5 key), instead of the classic Allen, present on many other pedals, which are damaged over time because they’re so little, and it becomes very complicated to remove them. 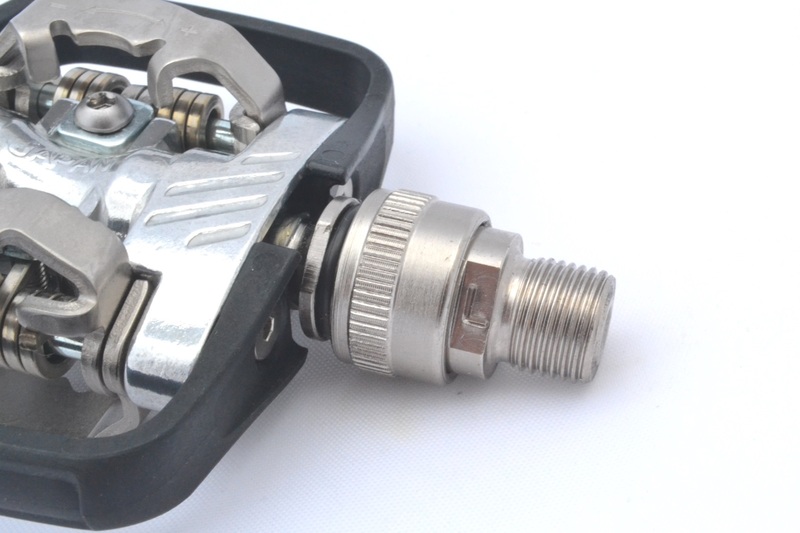 My advice: when you have some new pedals, remove all locks and give a coat of grease to the threading. A few minutes spent now that will repay over time. 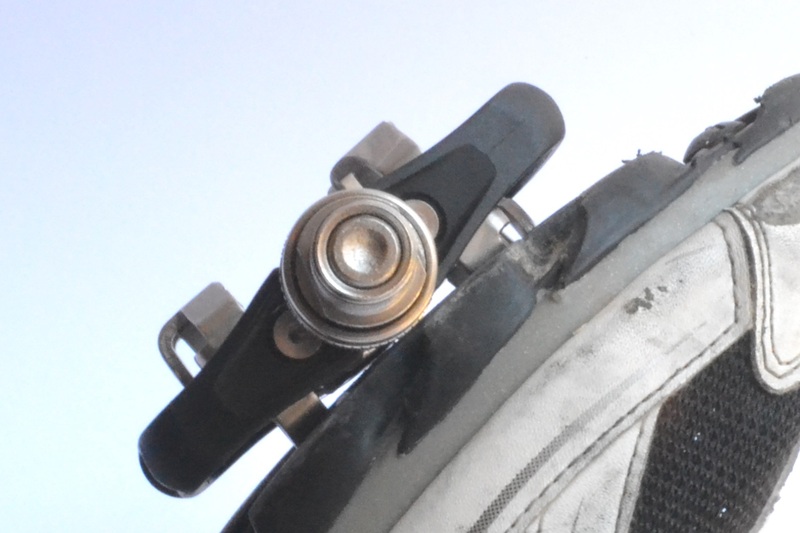 The suggestion applies to any removable pin pedal. 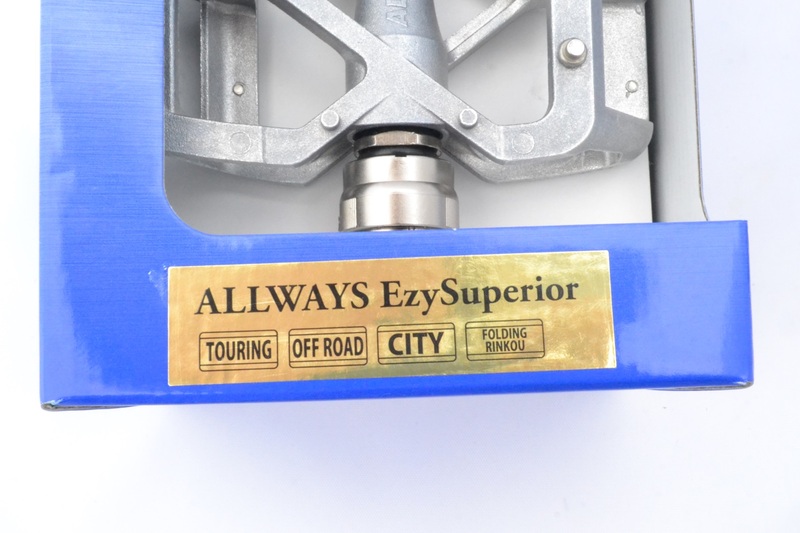 Now let’s dedicate to the EZY-S in detail. 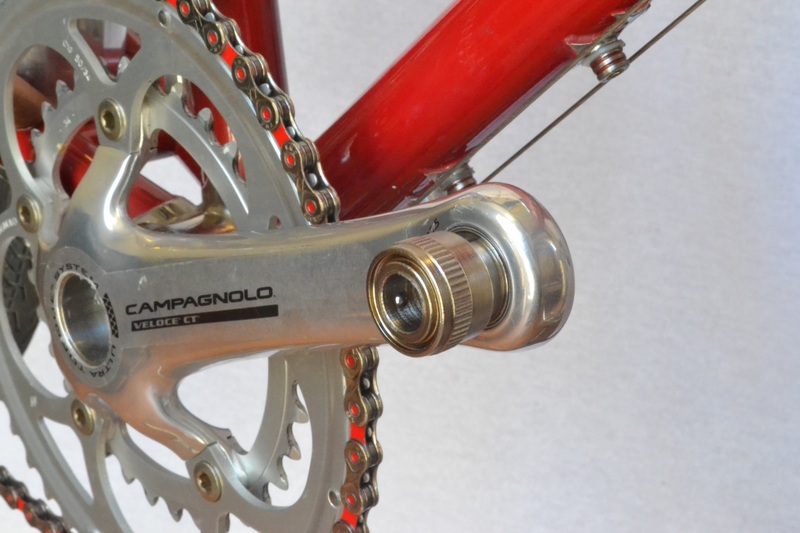 One part will remain integral with the crank, while the pedal with its whole axis will be quickly released. One o-ring protects from dirt and water, but in any case it’s better to keep both the axis and the mechanism always clean and lubricated. 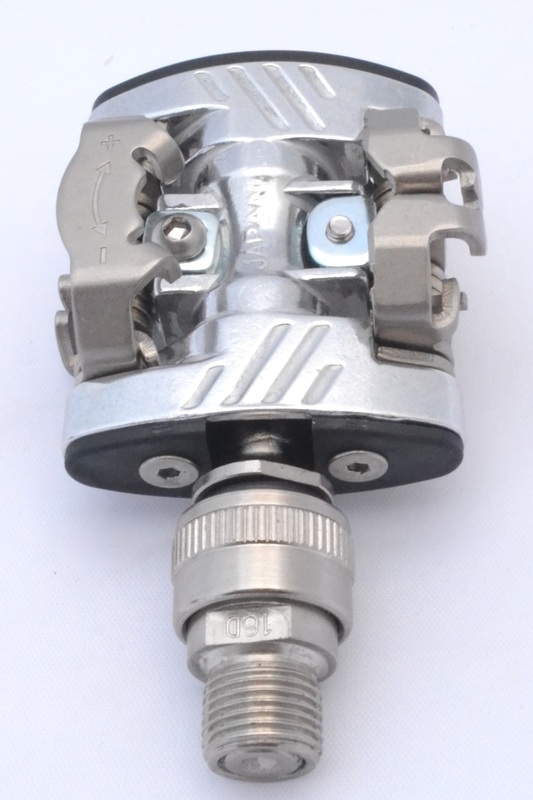 The heart of the mechanism is all enclosed in the element that will remain fixed to the crank. 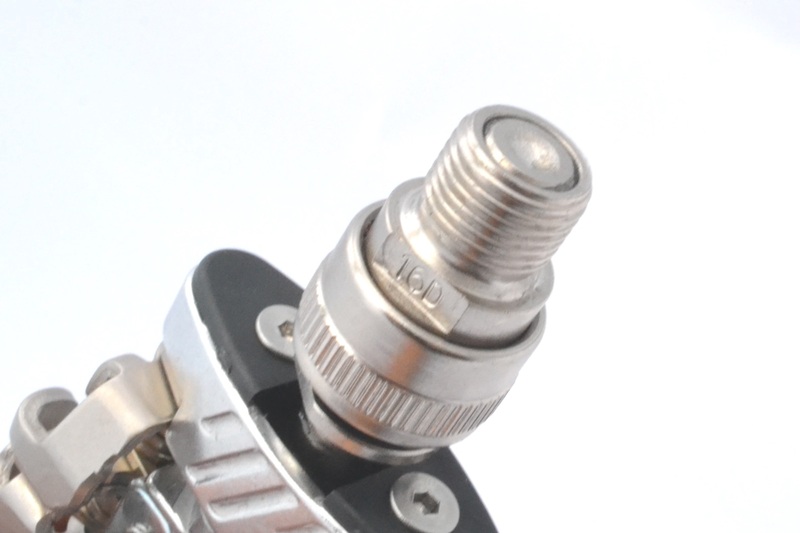 Both the safety lock and the release channel reference are immediately identifiable. Release channel clearly visible in detail from this other angle. The system is conceptually simple: you rotate the knurled ring bringing the release channel just to the safety grain, and press inward (i.e. 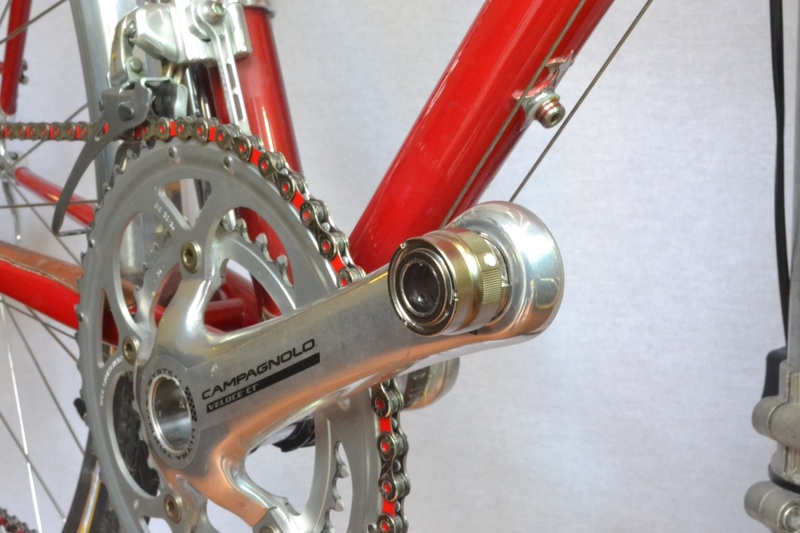 toward the crank), thus releasing the pedal axis, which will be removed. Later, a video will show better and in detail this operation, for both systems. 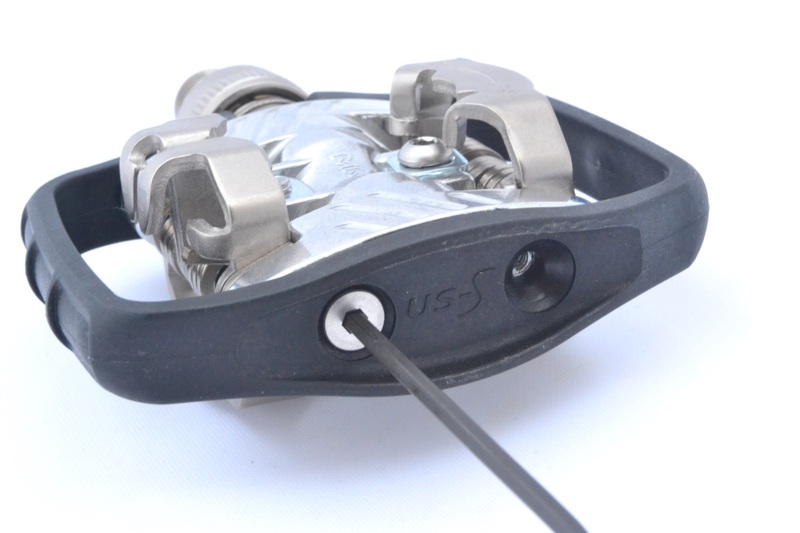 The US-S version looks like a normal Mtb pedal with Spd system; is fully wrapped by a protection. 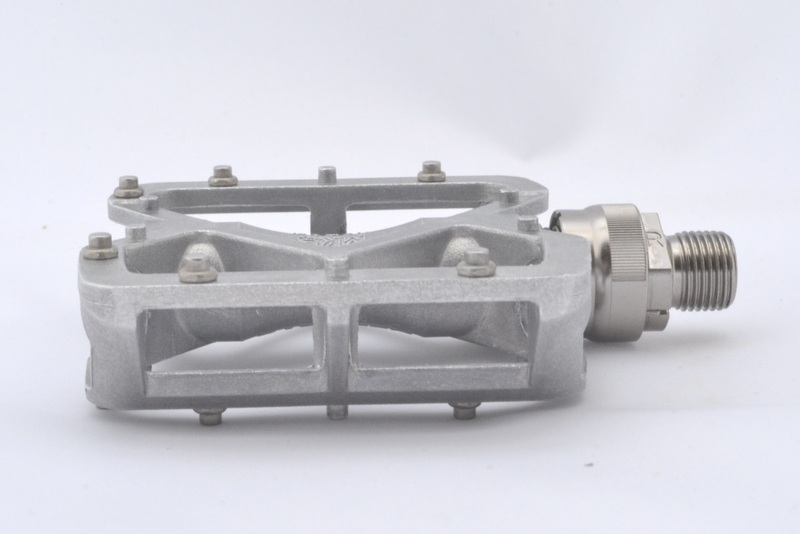 The finish level is good and when you handle them you immediately feel that they are designed giving priority to robustness; unfortunately this affects the weight, which measures almost 500 grams per pair. 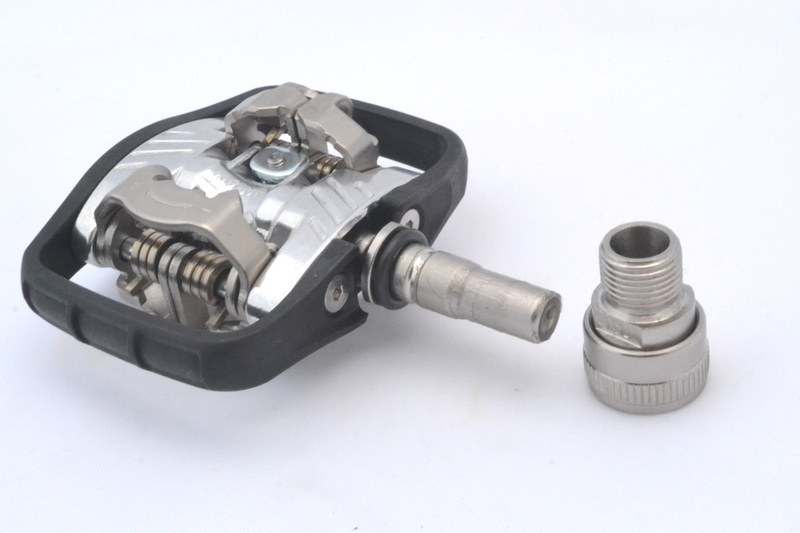 These are pedals suitable for off-road and road use, but still in tourist point of view, not for racing use, and therefore the reliability matters more than the weight. 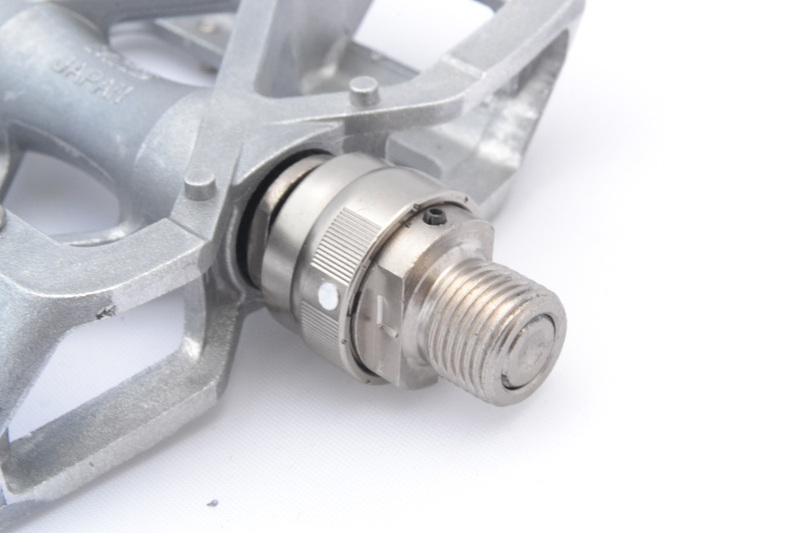 The connection system is present on both sides and is compatible with Shimano Spd standard. 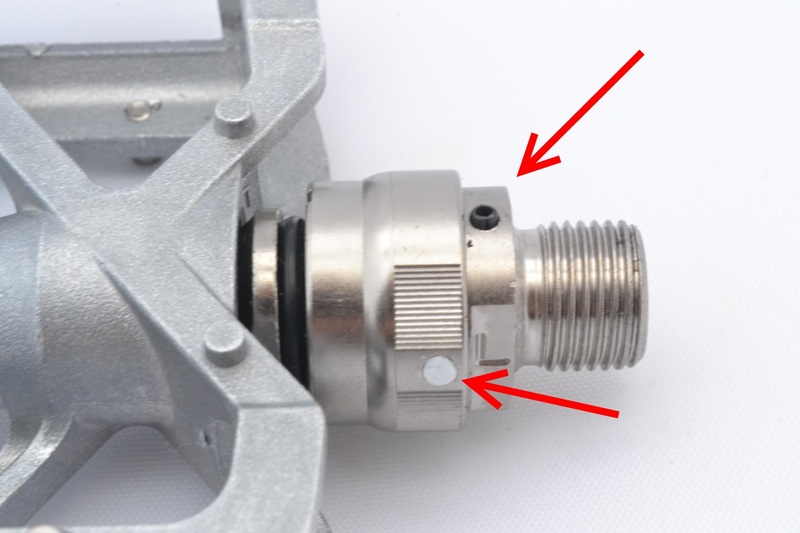 The connection force is adjustable through the small Allen (one for each side) indicated by the arrow; as I previously mentioned, some sound shots help to keep track of the degrees rotation given to the screw. In the low-strenght position, the grip is too weak to be really exploited. 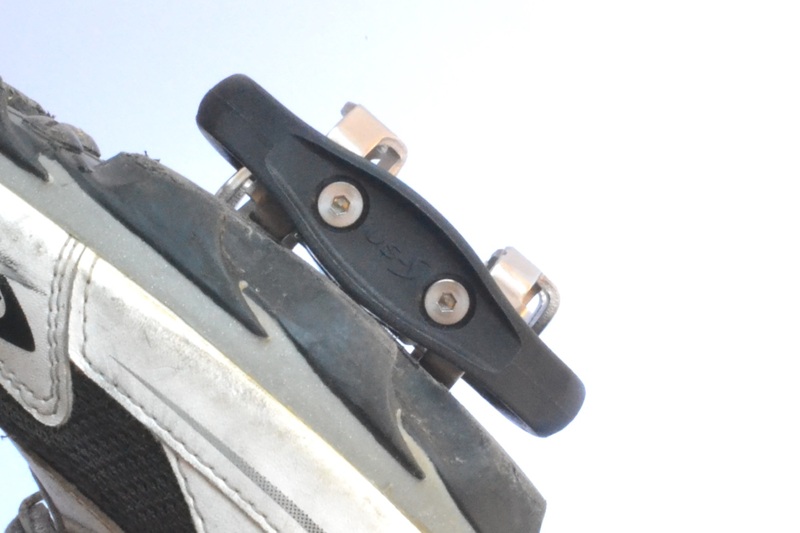 Keeping it in a medium setting, the grip is firm and the release speed is still fast enough to allow to place our feet on the ground for emergencies. The outer cage does not get into annoying contact with the soles. Those who do not like it, can choose to mount the shells supplied. 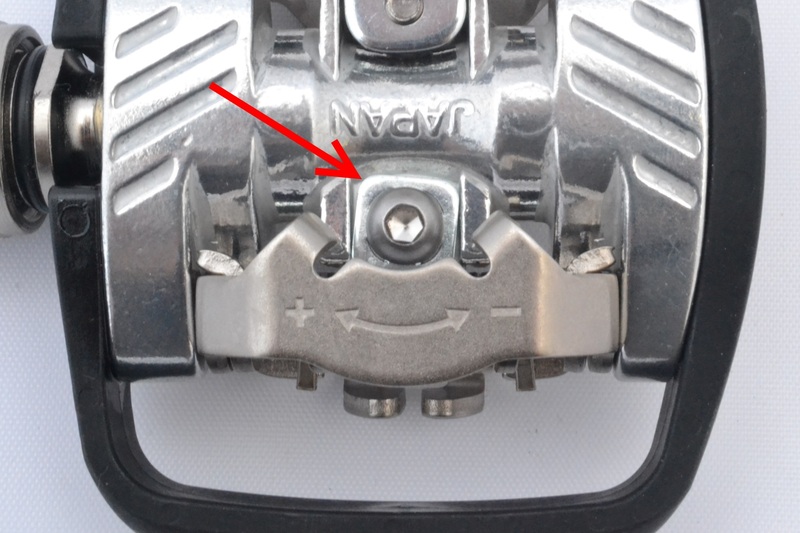 The replacement is very simple, only four Allen per pedal to unscrew and re-screw. The photographic sequence shows the procedure, the final effect and the direct comparison of the two solutions. 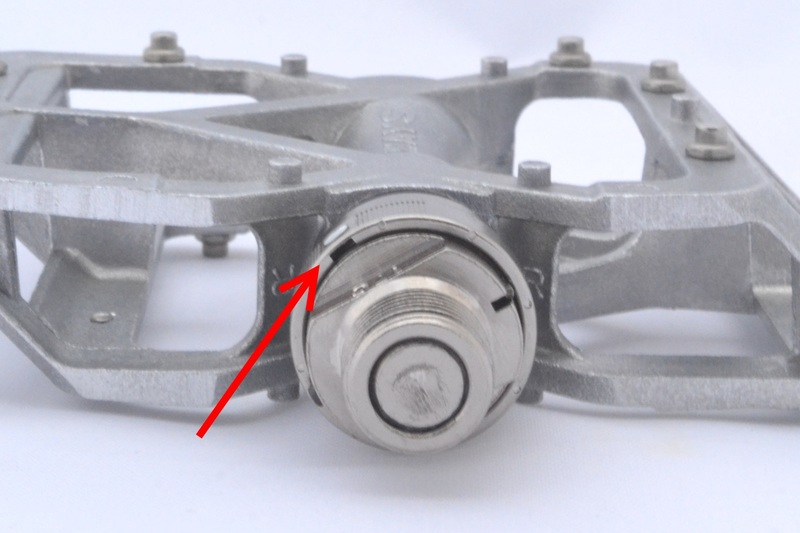 A practical advice: when you remove the Allen on the axis side, hold the axis with the two engaging notches (i.e. 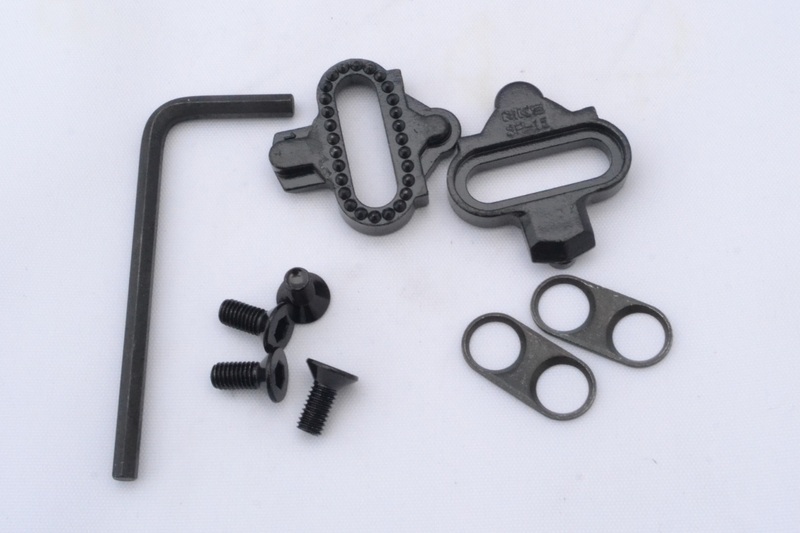 the straight parts) in parallel with the Allen keys, otherwise you will be not able to unscrew them, they will knock. The release system in this case is the EZY, conceptually similar to the EZY-S seen above but different in the implementation. As you can see, the nut of security is missing and therefore also the reference for its unlocking runner. 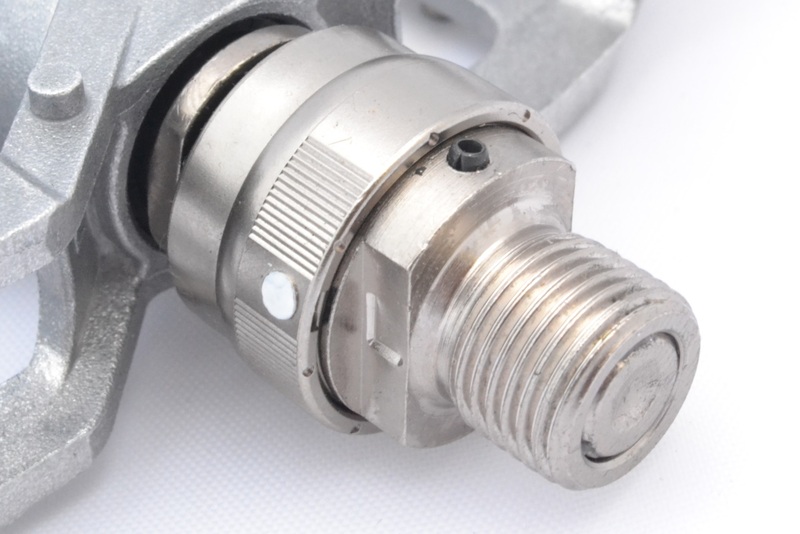 Here, in fact, you don’t need to rotate the knurled ring: just push it inwards (i.e. 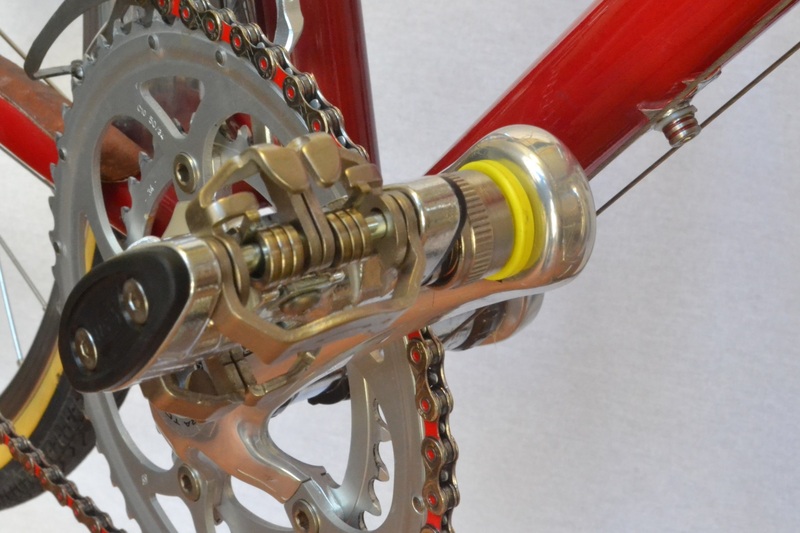 towards the crank) to release the pedal axis. 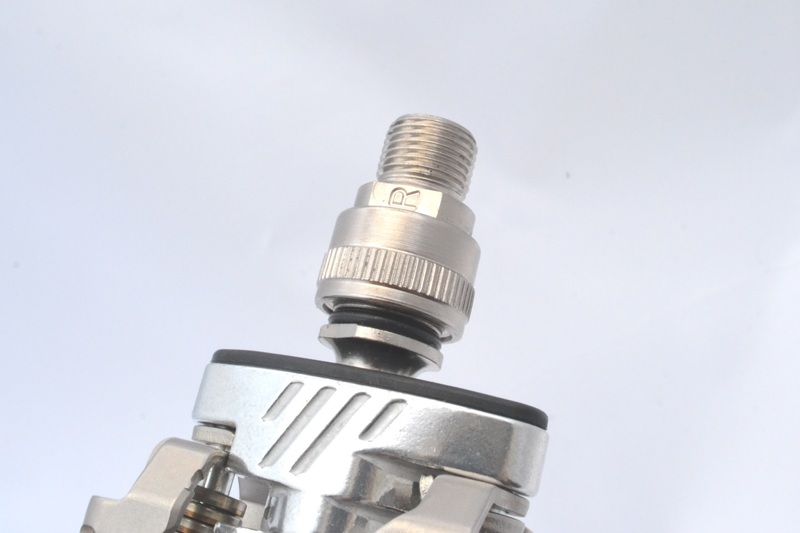 In detail, we can see the axis with the o-ring for the protection of the EZY system and the manufacturing for the locking system. 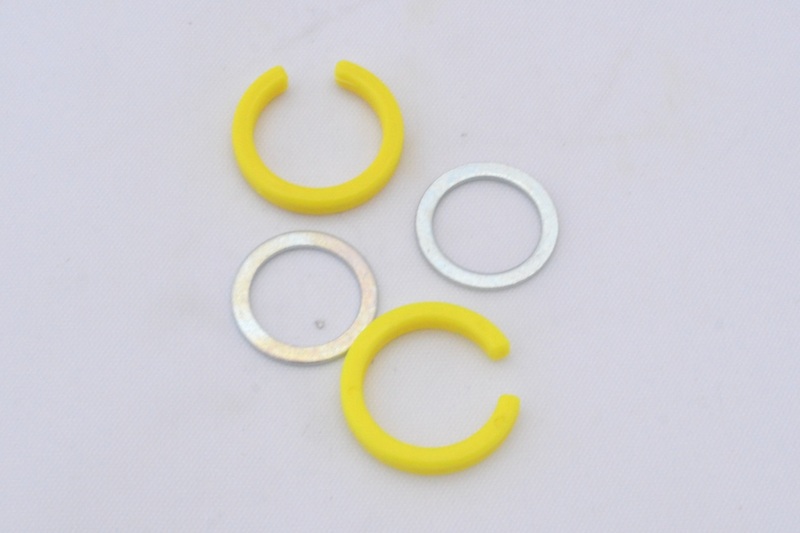 But a safety system to prevent accidental unlocking could not be missing: in this case the function is carried out by the two yellow plastic washers. 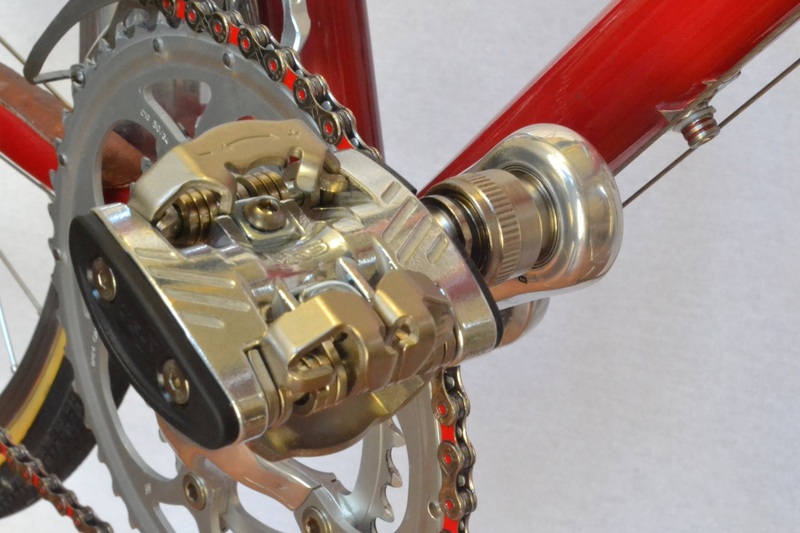 Once the pedals are mounted, their thickness will prevent the ring for moving inward, effectively blocking the release. Once again, we will see in a better way its working in a video here below. It’s a valid technical solution, but it’s not so practical, and that’s why I prefer the EZY-S. Removing the ring is easy: but also losing it and you’re not going to be able to find a spare one in every shop. I mean losing it when you remove the pedals. 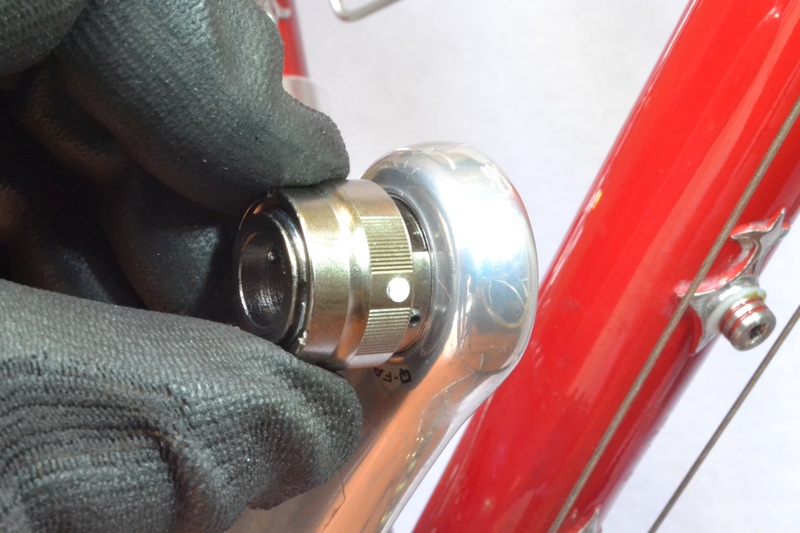 I remember that a few months after the EZY system was put on the market, the MKS was “forced” to make the spare rings available even through its website, just because the cyclists kept on losing them. 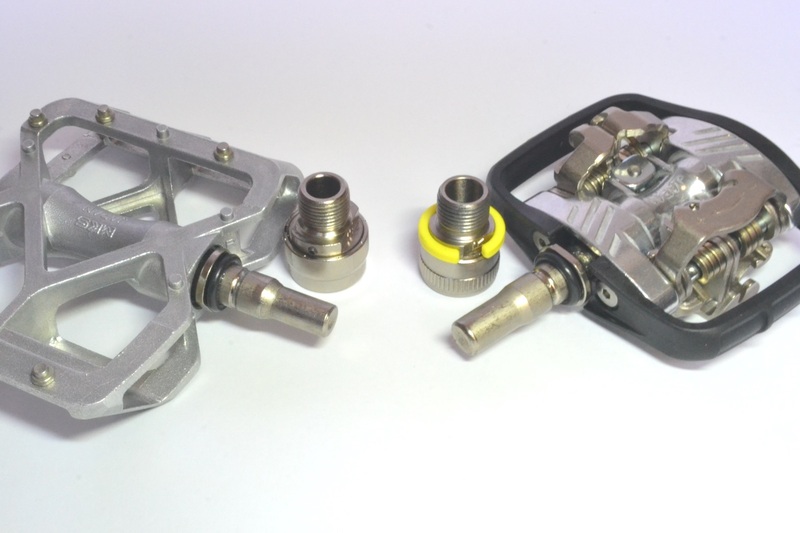 Considering the low cost (of the washers, not the pedals..), supplying a pair of them could be useful for sure. 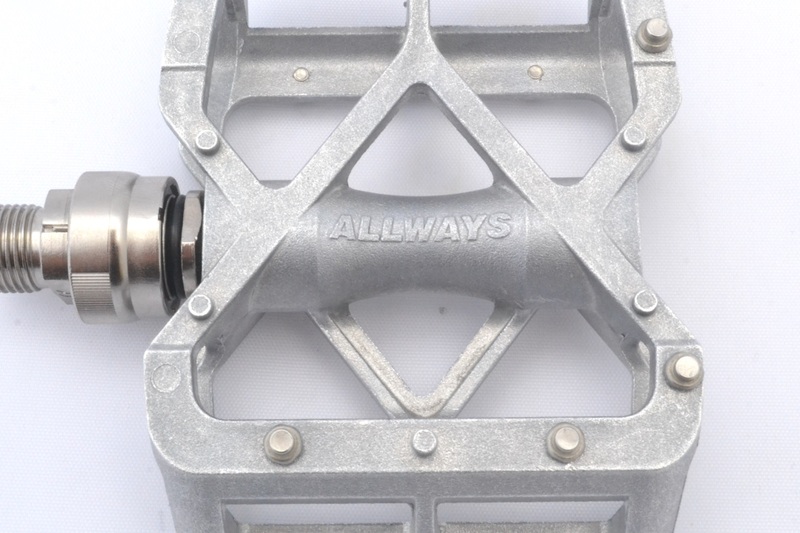 In addition, the safety lock works in an area that, as we know, gathers dirt very easily and since these pedals, like all the quick release pedals, are perfect on foldable bikes, then what appears to be a little detail, must be evaluated in a different way in the daily use. 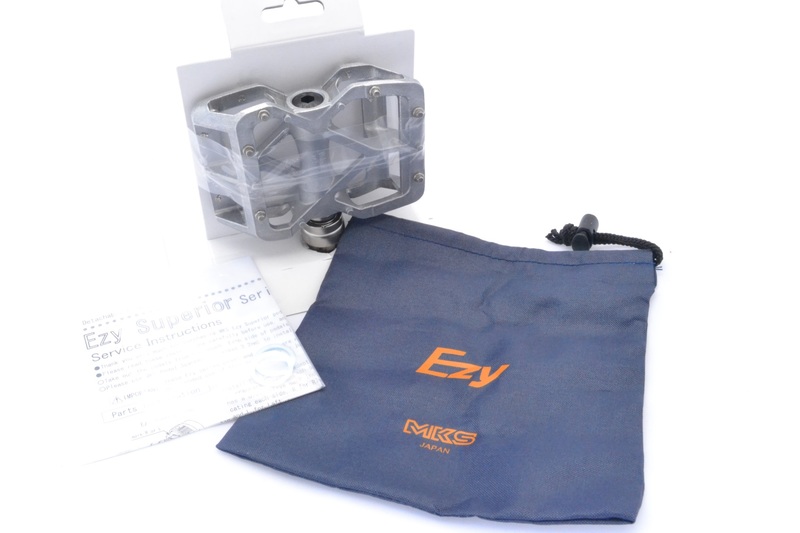 Whether they are EZY or EZY-S, depending on the shape of the crank, you will have to use the supplied washer with its correct thickness. To simplify it, here are two examples. 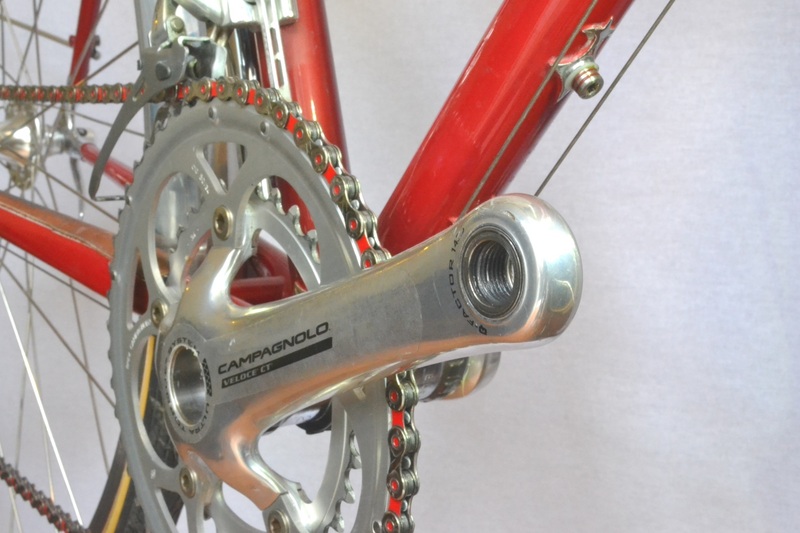 In Campagnolo’s case we see that the pedal seat is perfectly aligned and so we will not need it; the Sram instead has a light notch and so we will use the washer. EZY and EZY-S in comparison. A photo comparison allows us to better focus the differences between the two systems. The lock system technology is so different as well as the choice of a security device. The sizes are different also. 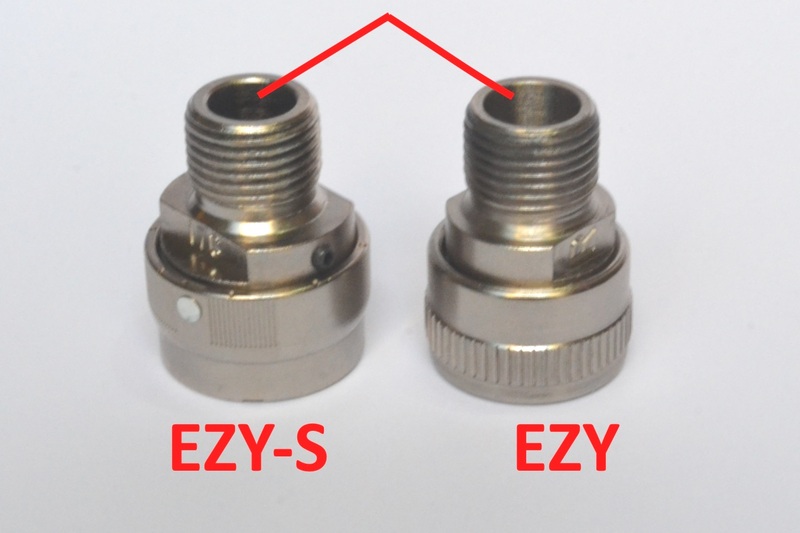 In fact, the axis of the EZY system at the anchor point is wider than is companion EZY-S. 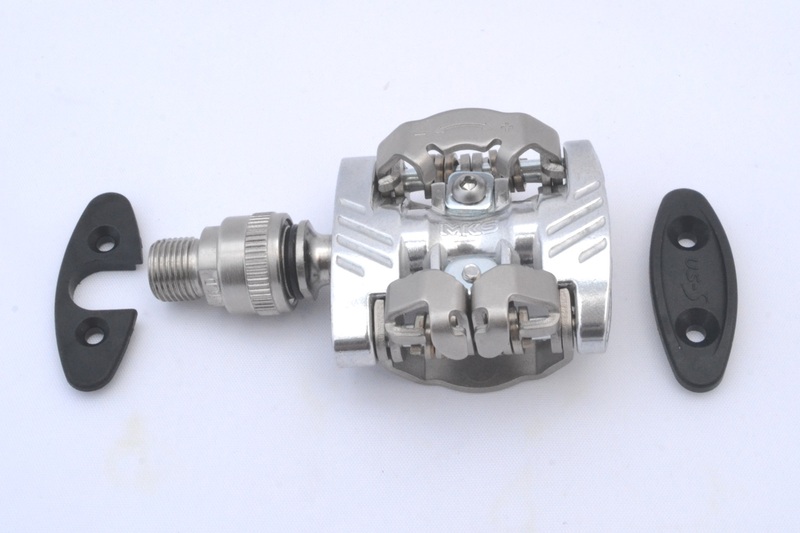 The installation is the one you have for all pedals, you need a thin 15-key, if you don’t have the specific key manufactured by MKS, you can use the key for the hub cones. 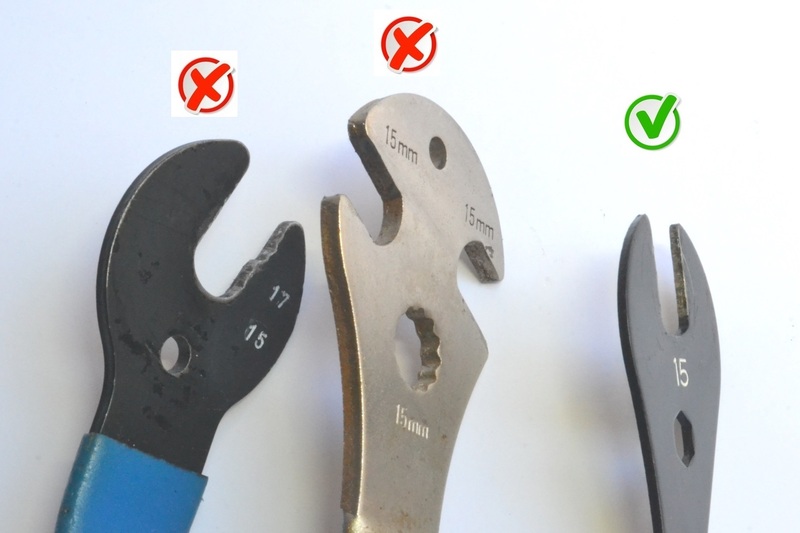 The maximum thickness should be 3,2 mm, than you must choose the right one among your tools. Here there is not the Allen’s contour on the axis, there would not be enough space. I attach some pictures, but I believe that the following video is more appropriate. With a note: for “stage effects” I spend more time than necessary and, obviously, I must do it right for the camera: but it’s all very quick and easy, really a few seconds for each pedal. Is not so clear, isn’t it? All right, let’s try with this video and remember: the pedals, both of them, must be always screwed twisting toward the front wheel and must be unscrewed always twisting toward the rear wheel; the threads must always be protected with thin layer of grease, that I did not apply only for “stage effects”. After shooting the video, yes. 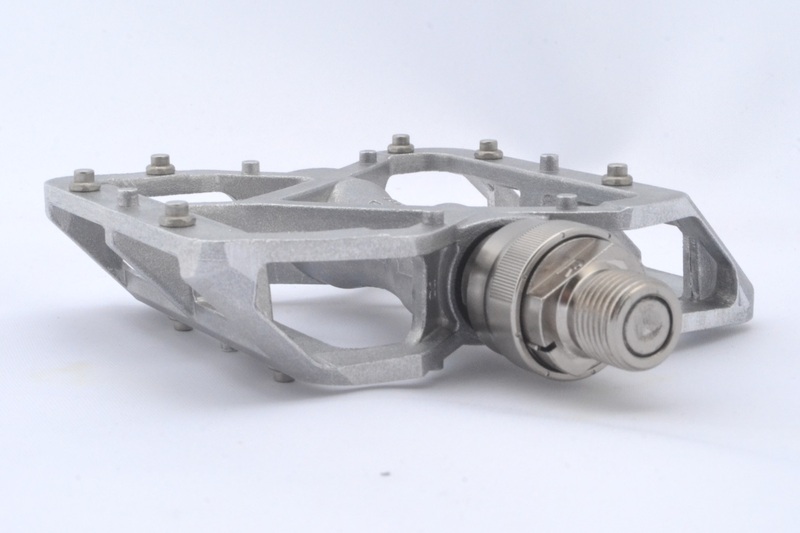 Pedal is synonymous with bicycle: the life on the pedals, the fatigue on the pedals, the sweat on the pedals and so on, creating metaphors with the pedals as common denominator. Yes, I do know that you need the wheels or the frame, because without the wheels you don’t move, and without the frame you have only some pieces scattered on the floor, but what can I say? Literature is in love with the pedal to identify the bike. Because they are important and neglected at the same time. Besides the hairsplitting people, let’s tell the truth: how many of us use the same time (and the same fixations…) to choose the wheels even to choose a pedal? Few of us, and I am among them obviously. 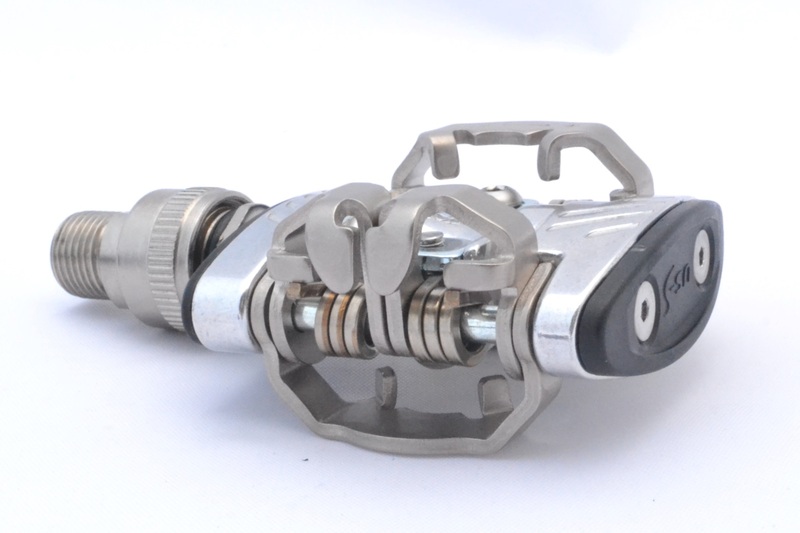 When I choose a pedal I ask for lightness, smoothness, rigidity and bike control. Yes, because downhill it’s necessary, are you kidding? 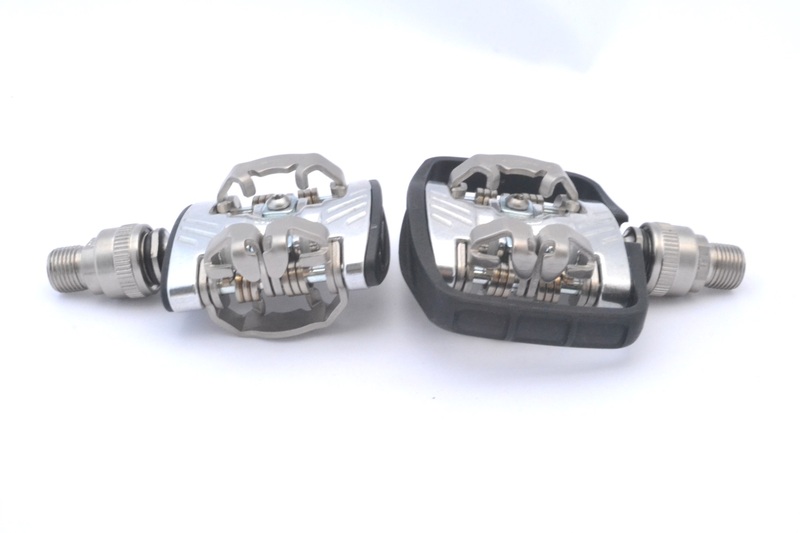 The Allways stand by their name and they really are multi-purpose pedals; the supporting base is wide, solid and rigid, the grip is secure thanks to the pins, that allow a good hold with any kind of shoe. 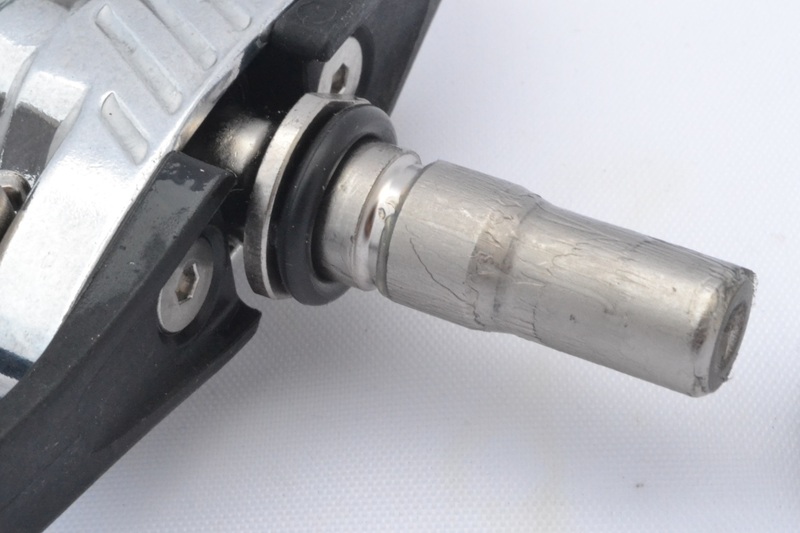 The bearing are of high quality, the axis rotates fast and smoothly, as I like. If you pedal sitting or standing up, or whirl your little trotters sparingly or generously, the grip is never missing. Loading the weight to keep the bike in trajectory in very fast descents it’s very simple, the rigidity of the structure makes possible for you to always feel the bike working on the ground. In short, promoted to full marks. The only available colour is the one you saw in the pictures. It’s a pity, a black version would really be fine. 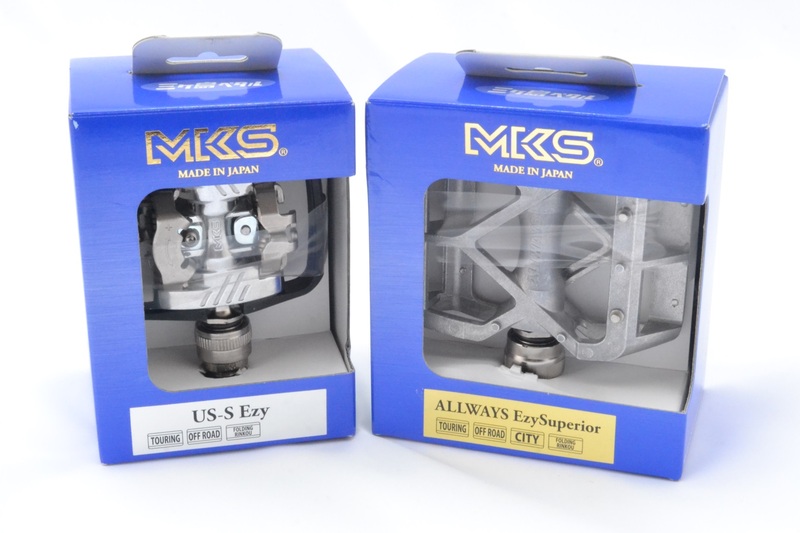 The US-S are first and foremost solid pedals, made to last and endure every stray. 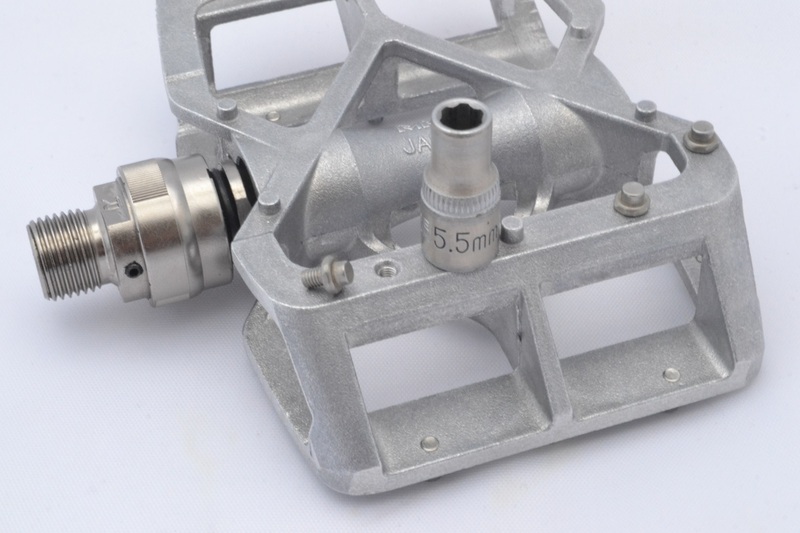 These qualities pay on the balance: actually about 250 grams for pedal are too many; in line with other Spd attack pedals it’s true, but maybe, working on the materials, something could have been cut down. 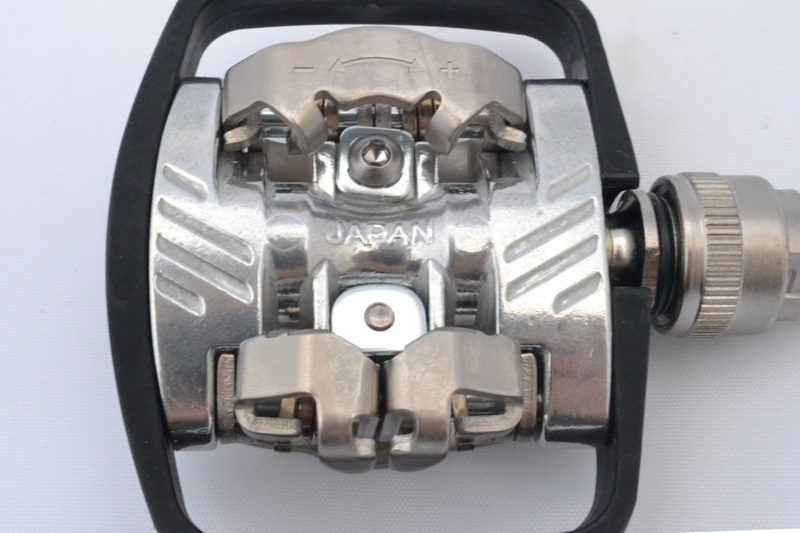 Even if the fitting utilizes the Shimano Spd technology and the cleats follow the same design, both hook and release appeared much more fluid and the grip is tighter; not only compared to other Spd pedals of different brands, but also compared to some Shimano models. This means that the SBS patented system, the acronym of Split Blinding System, is not a mirror decoy for larks. Here again I find some rigidity and an excellent support, and here too the smoothness and the rotation fluidity are of a high level; but, after a run-in period, the bearings, at least on the sample I received to be tested (a new one), took some time to offer their best. I liked the rich equipment, as well as I appreciated the option of alternately using the cage or the shells. With a few grams less, I would give the promotion to full grades to them too, but they’re almost there anyway. Maintenance is very simple, both for the EZY and EZY-S systems as well as for the axis and the bearings, without using esoteric tools: some pliers for external seegers and some grease for the connection system, an Allen wrench (version without a specific cap, otherwise you need the MKS key) and an adjustable spanner for the axis and the bearings. 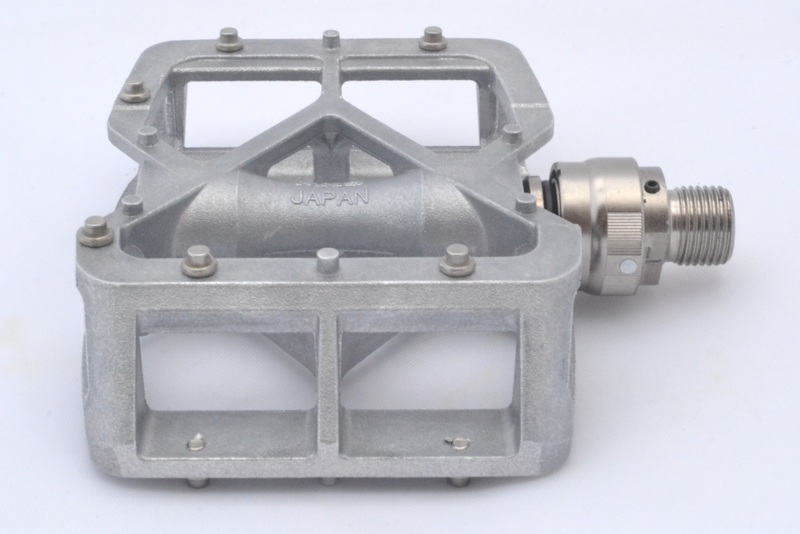 And even though not all the necessary tools appear in the catalog, it is always possible to get the spare parts through a store that will ask to the national distributor. Beyond the technical motivations that prompted MKS to choose to split the release system, you know that when I test something I always look mainly at the practical aspects; because a biker is interested in theory, but then in the end he wants to understand if he needs that something and how can he use it. 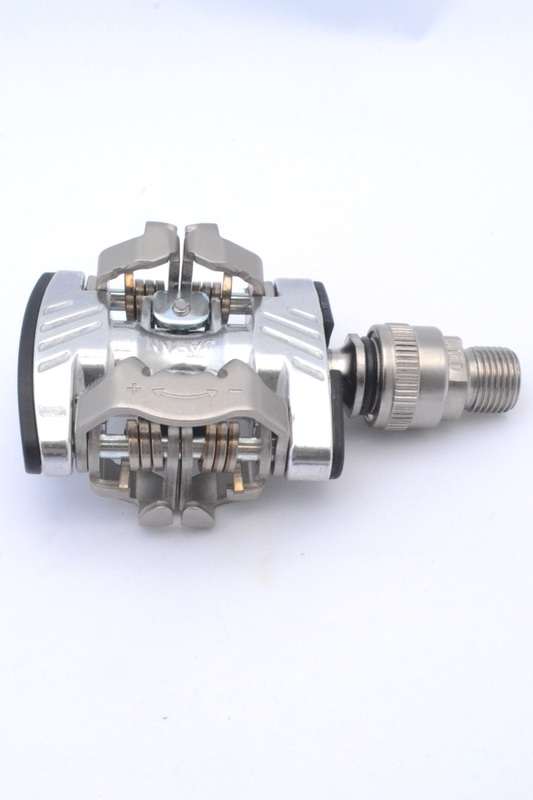 For this I do not share the differentiation of quick release systems, at least if I compare it to the type of pedals in the catalog. 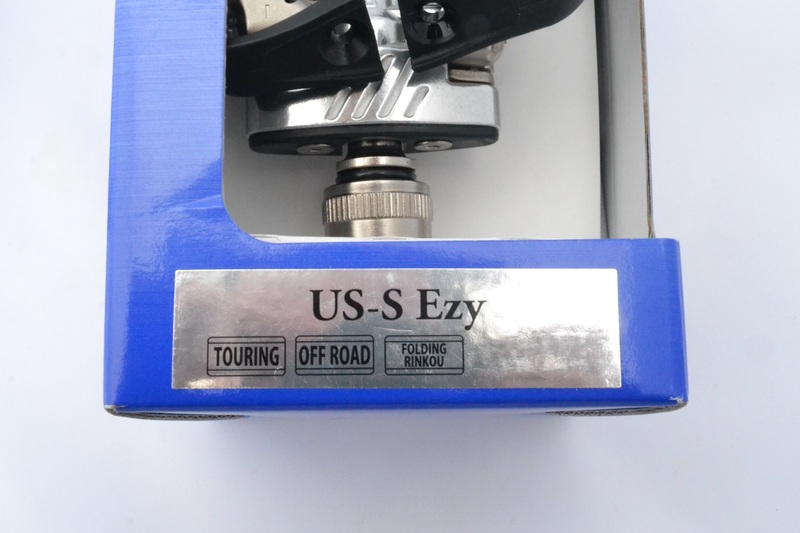 The EZY and the EZY-S, as we saw, are also dimensionally different and this makes the pedals of the two families incompatible. 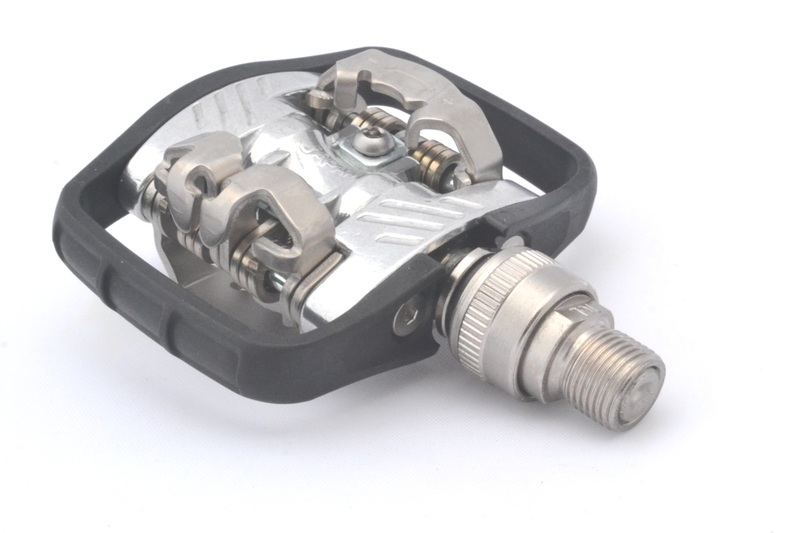 Now, if you look at the catalog on the website at the same time I’m writing, you will notice that the pedals with SPD connection are only in the EZY version, and those with the LOOK compatible junction (then the sport ones, to use on the road) are present only in the EZY-S version. Until few years ago, I would have judged this choice to be understandable. But not now, as we are in a full explosion of gravel and touring bikes, the cyclists are increasingly looking for a bicycle able of carrying them around villages and tracks, and able of long stretches on the road. Take for example my Ellesar: it’s a bike that slyly accompanies you in the tourist tours, but capable of pulling out a nice temper if it wants (and if there is the leg…): here, in cases like this, it would be a great advantage to be able of going with a click from a race pedal to a Mtb one. 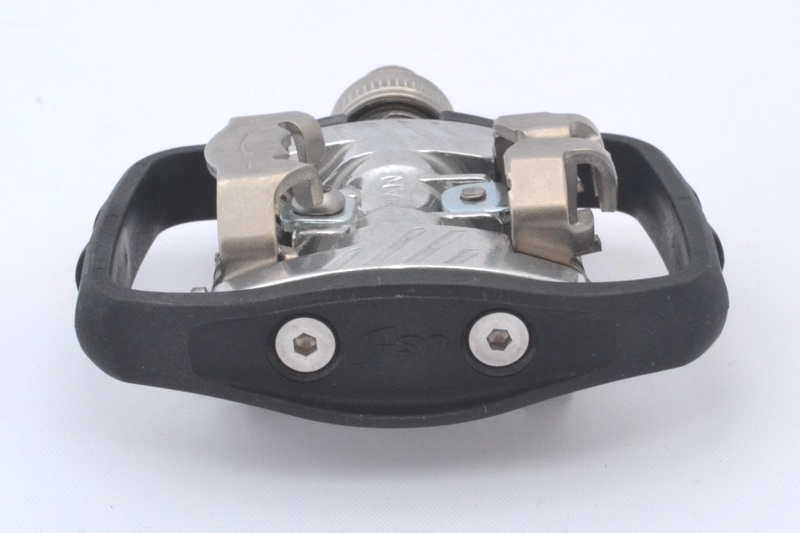 However, this is a remediable problem if you use a different Mtb pedal, still with a connection, but with proprietary cleats, not Spd compatible: I’m talking about the US-B NUEVO EZY-S, pedals suitable for cyclocross. 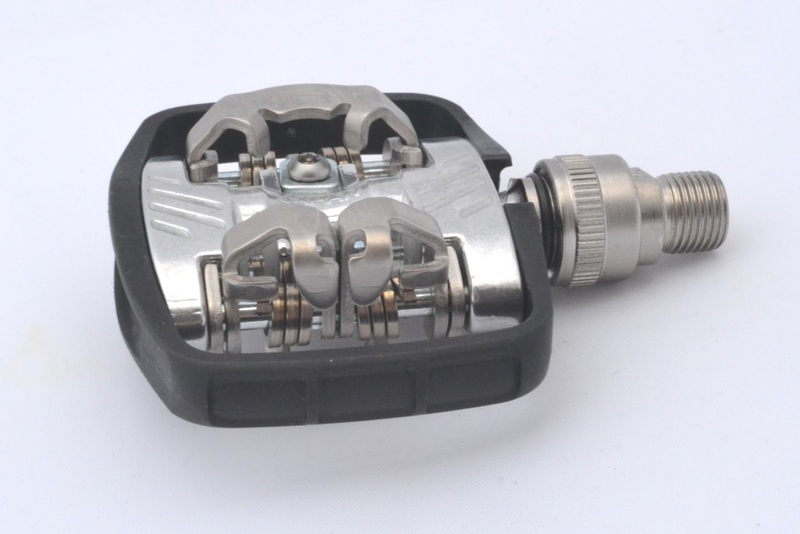 However, and I say it as a serial pedaller and accumulator of bicycles, the full compatibility of LOOK standard pedals and SPD ones would have been a five star thing. Who knows? Maybe somebody, in Japan, reading these notes, would think about it…. 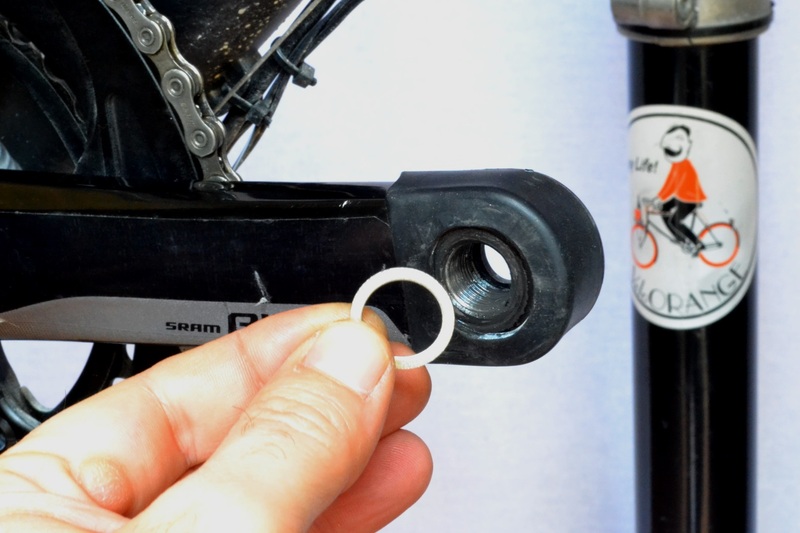 Other than that, the quick release system convinced me, with my preference for the EZY-S one: in everyday use the joint security system proved to be more practical than the ring you must remove and put. I should not have, but I did it anyway: I pedaled without the safety ring mounted. I decided to give it a try, to identify with the absent-minded cyclist who loses the yellow ring. The result? 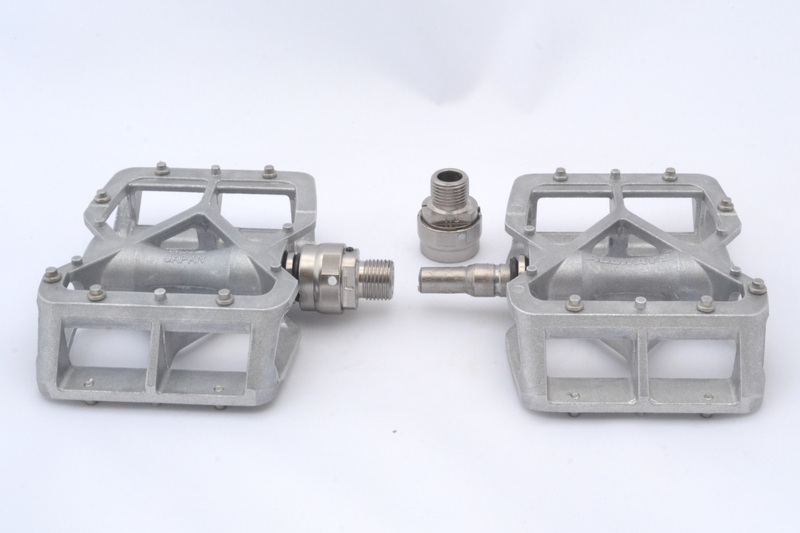 The pedal is still there and, by pedaling hooked, it is practically impossible to come into contact with the release system. 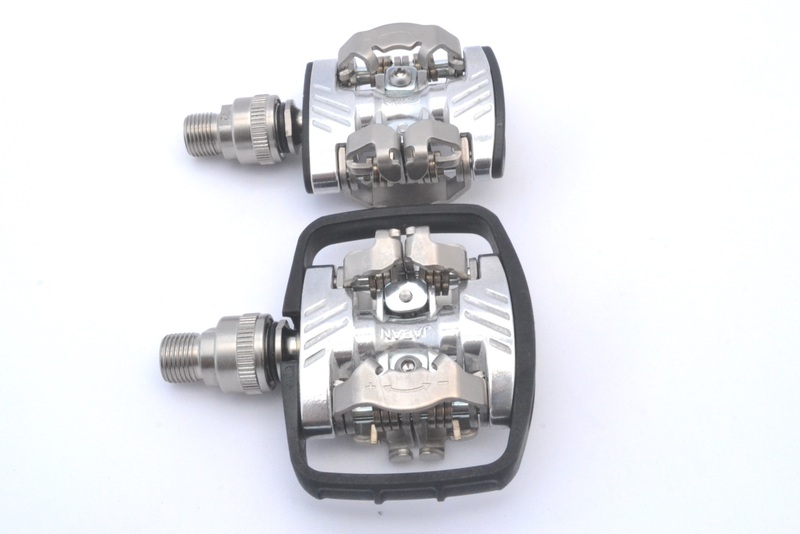 I do not know with the flat pedals in EZY version, I didn’t have them to test, so I cannot express myself. 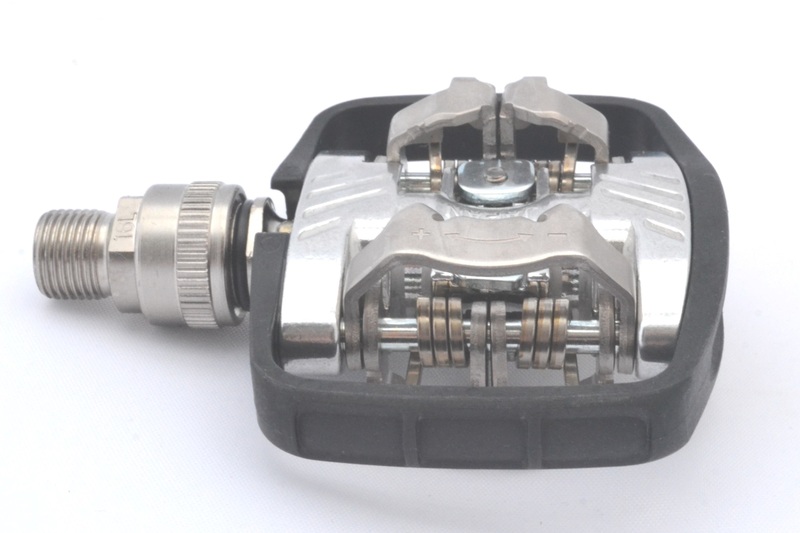 But, above all, here is the question that any cyclist would ask, is it useful having quick release pedals? It depends. Universally I can answer no, but in so many cases they are really useful. 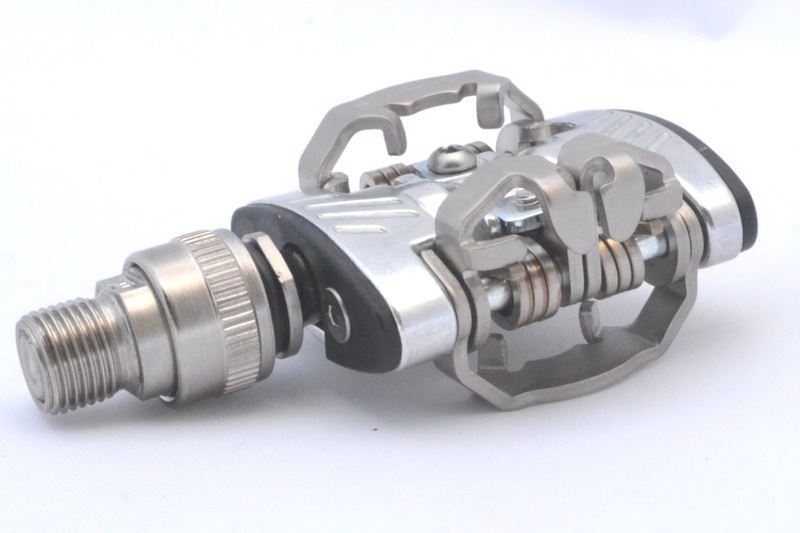 First of all, for those who have only one bike and want to use it with no trouble either with flat pedals or with cleats pedals. 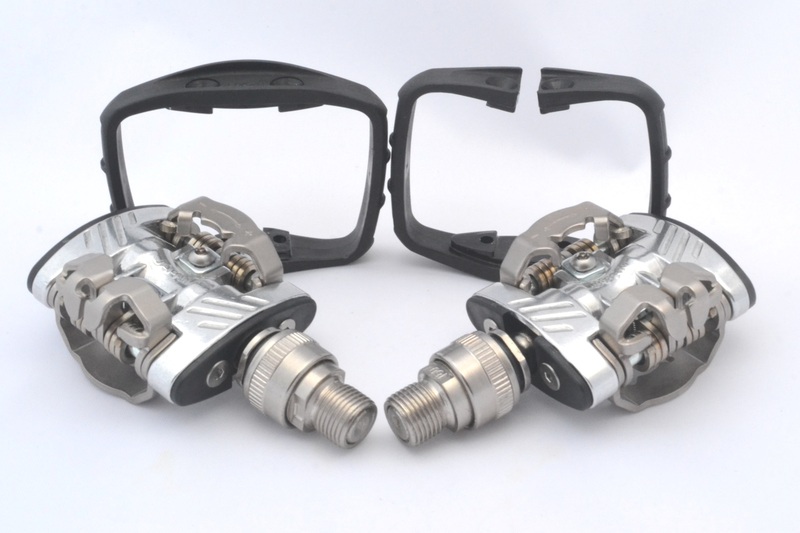 They are much, much better than the dual function pedals and furthermore here we have available a version LOOK compatible. 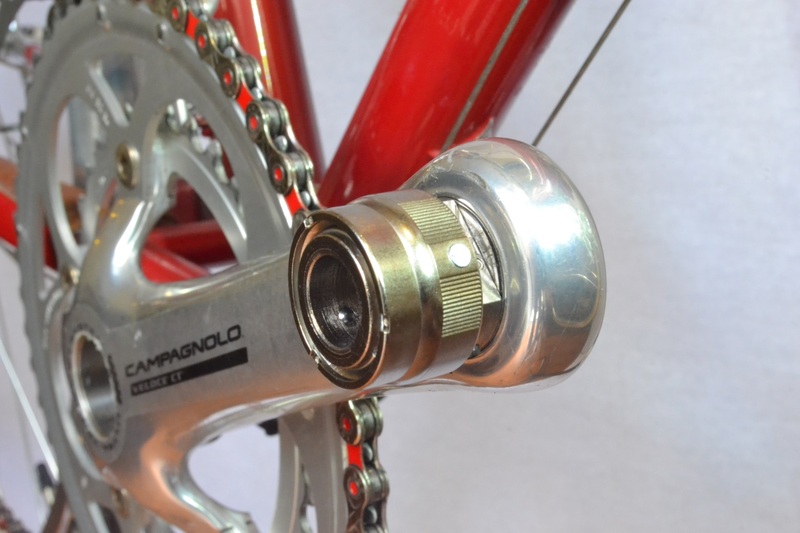 Even those who own more bikes will find the system to be practical, by choosing every time the pedal most suitable for the programmed going out. 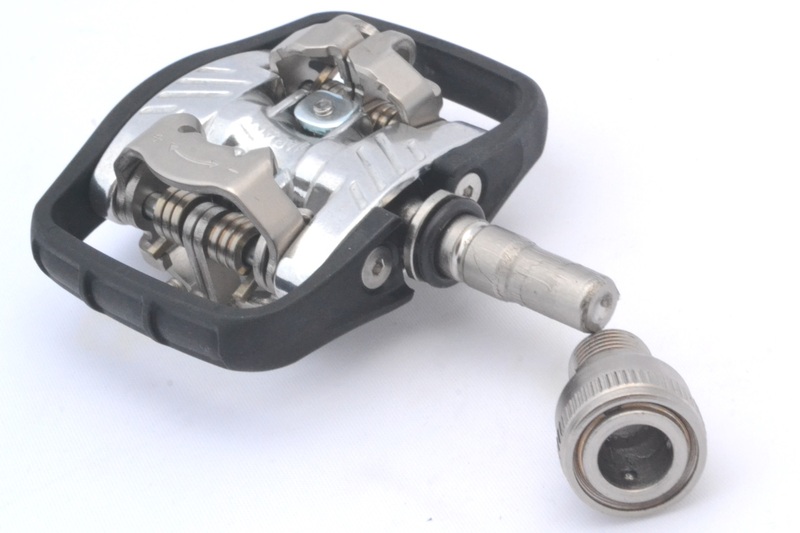 Of course, replacing the normal pedals, i.e. 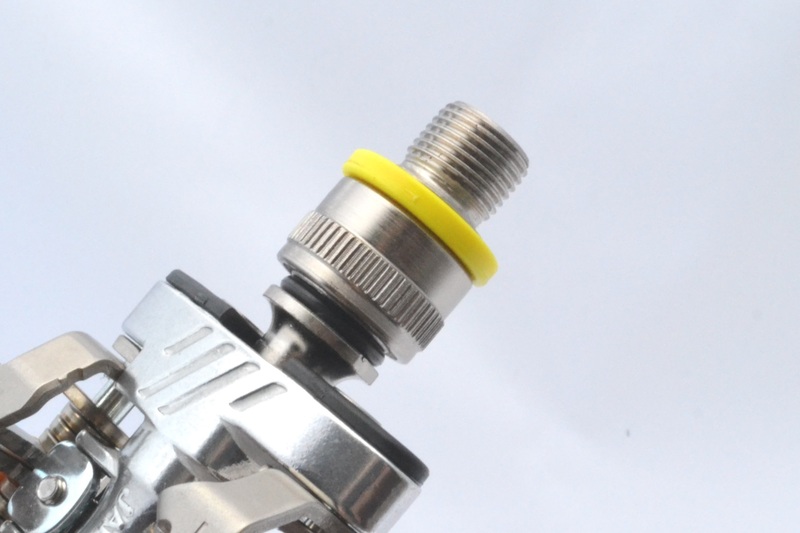 without the quick release system, it’s an operation that doesn’t require so much time. 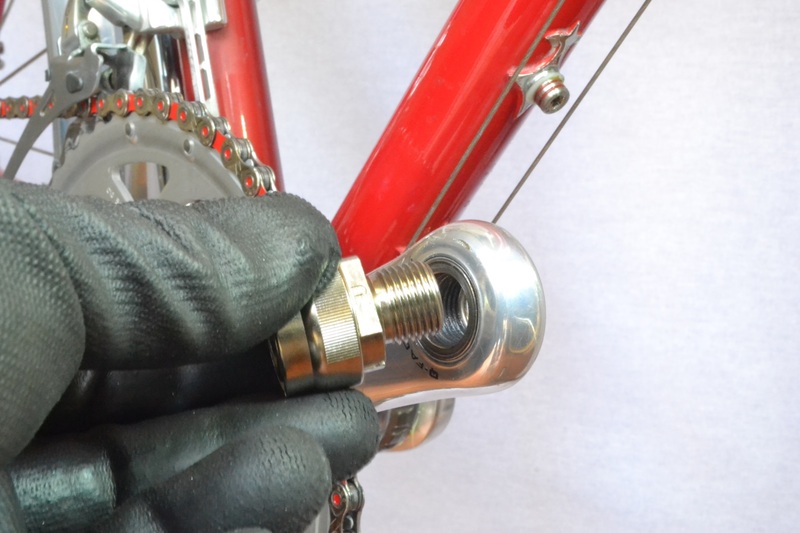 Two minutes per side, provided however that you have the bike on the work stand and the key ready at hand. 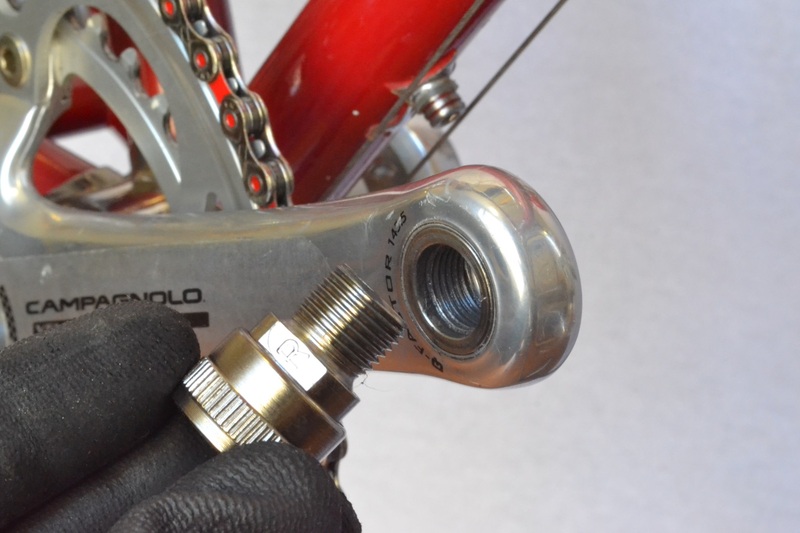 Not to mention that if you screw and unscrew too much, it’s is not good for the cranks, especially for those of high range, that sacrifice everything in the name of the lightness, the thread material too. 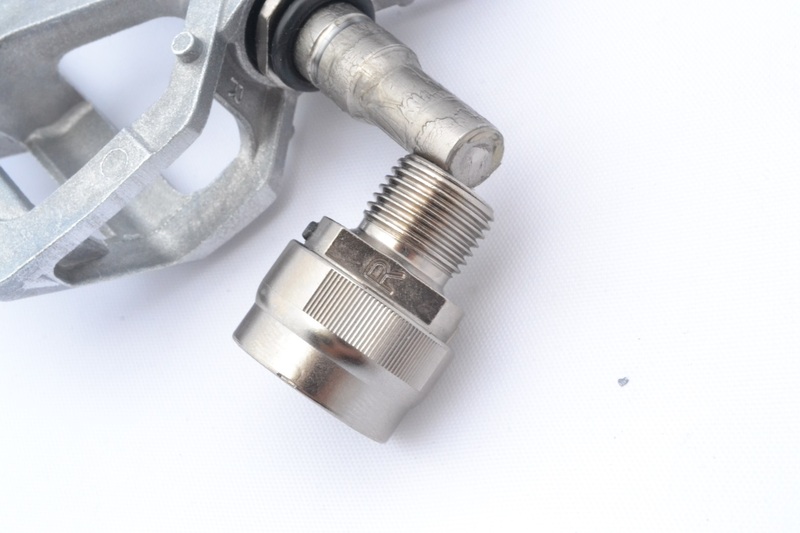 Maybe it is not necessary to have a quick release system, but if you have it, it’s very useful…. 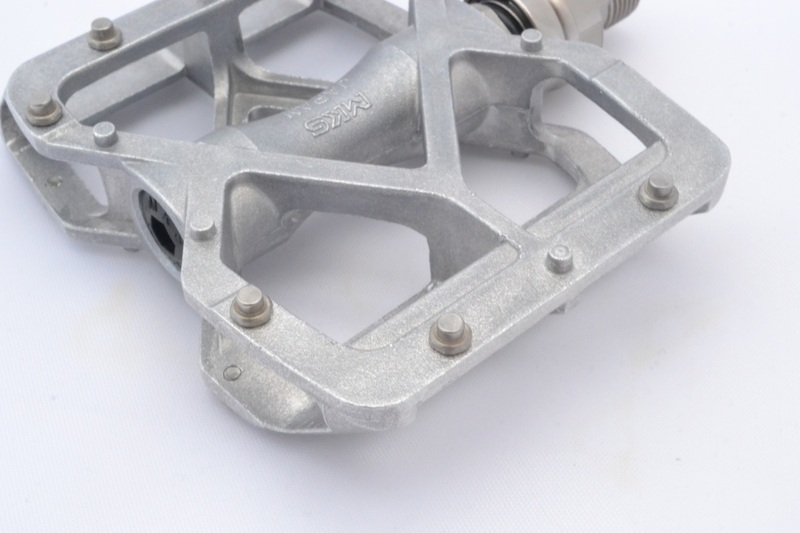 I think of foldable bikes, many of which have some pedals, foldable too, but flat; and not always provided with a high quality axis and pedals. 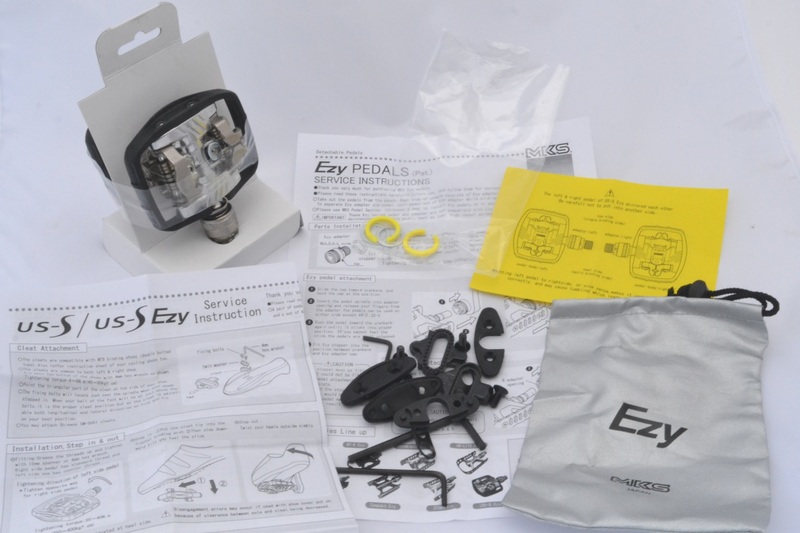 With EZY and EZY-S pedals we remove it or remove them directly, relying also on the excellent manufacturing quality. Now then! 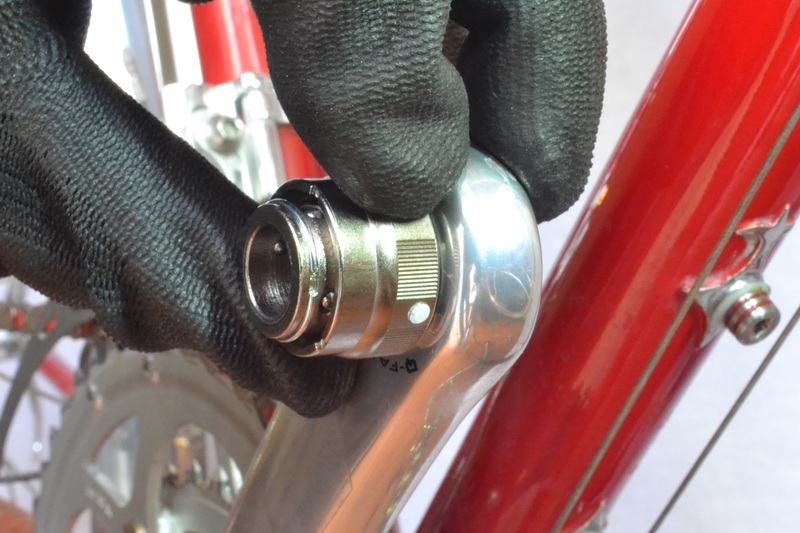 The pedal remain in your hands, but you can always use the supplied bag, and using a little fantasy you can always find a solution to mount them on the bike. Provided that it already exists. I think of transporting your bike in smaller cars or more bikes in a station wagon’s trunk, when removing the pedals allows to cross them easily and gain some space. And I am one who carry many of them…. I think of a use that I am sure the Japanese designers didn’t think about: as anti-theft for very short stops and with the bike in sight. It happened during my tests, when I stopped for a coffee: the bike in sight outside the bar and the pedals with me. Try to get into the saddle and run, if you can…. They need some attention: the axis and the release system must be clean and lubrified, a rather simple operation that maybe I’ll show in the “Workshop” category, it depends on how long I can keep them. 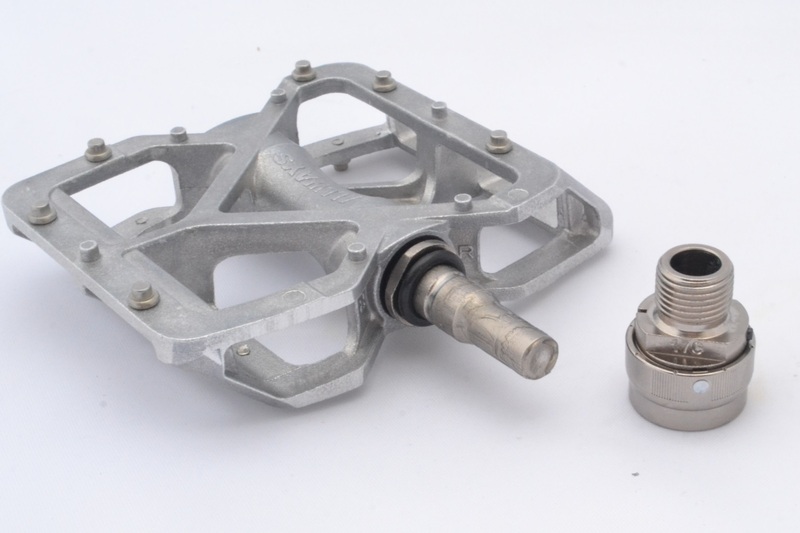 General maintenance is not a problem, even with regard to the axis and the bearings. It is possible to buy only one pair of pedals and then the pair of EZY and EZY-S joints, but I find it useless in practice. 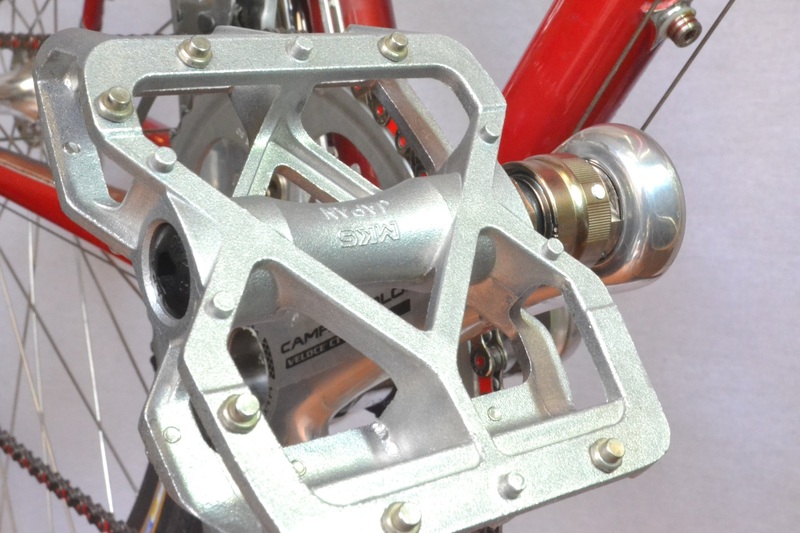 The purpose would be to have only one type of pedal and mount it from time to time on your bike. Don’t know, we cyclists are strange, maybe there are some who just want to do something like this. 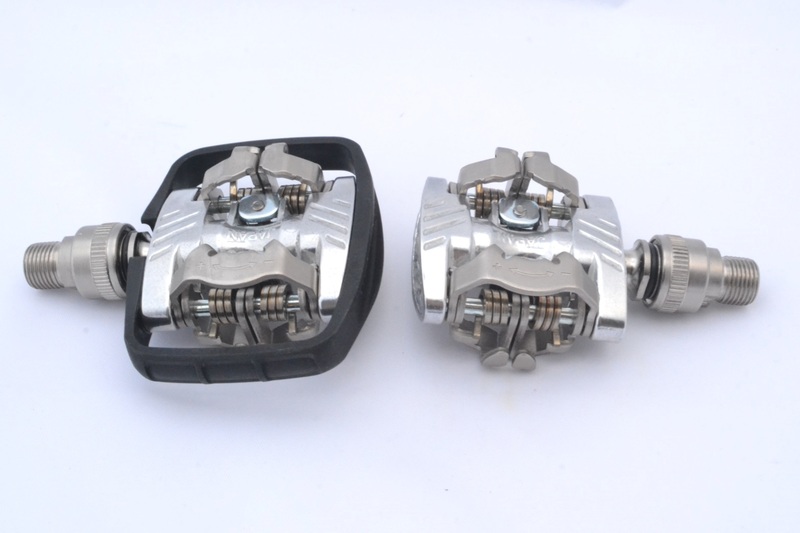 In short, also because it’s time to close this long review, I can say that having these pedals is not universally indispensable, but I have also achieved the certainty that they are very useful in many cases. As usual, I try to provide you with all the possible information, letting you pay the price for articles very long but very complete. Now it’s up to you to assess if you need them or not.